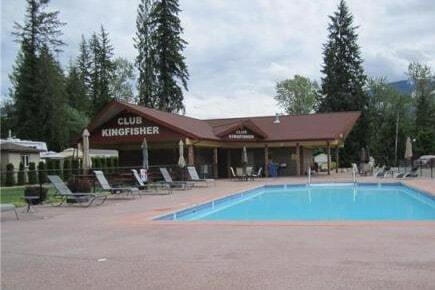 Pacific Quorum (Okanagan) Properties is excited to announce that we are providing property management services to Club Kingfisher in Enderby! We look forward to working with the Owners and Residents of Club Kingfisher! 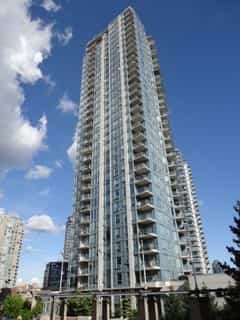 We are pleased to announce that the Pacific Quorum Team is providing strata management services to Synchro in Vancouver!!! We are excited to be working with the Owners & Council of Synchro! 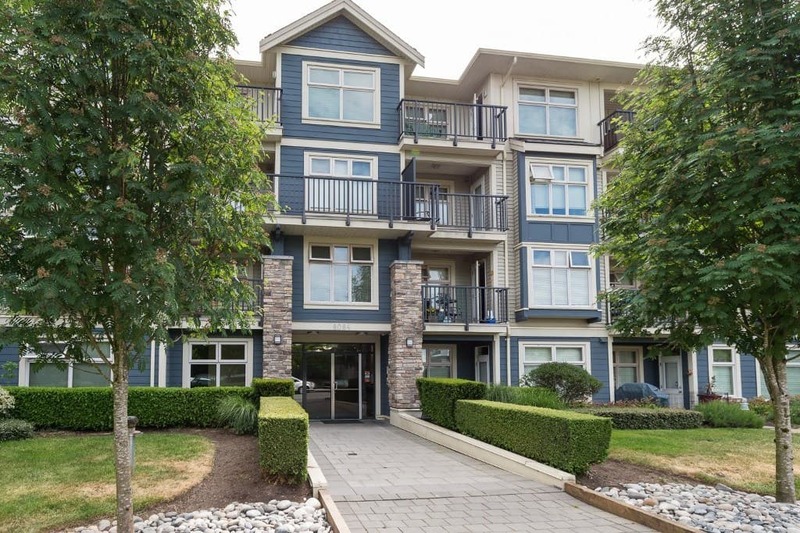 We are excited to announce that Pacific Quorum Properties will be providing strata management services to Oasis in Surrey!!! We look forward to working with the Owners & Council members of Oasis! 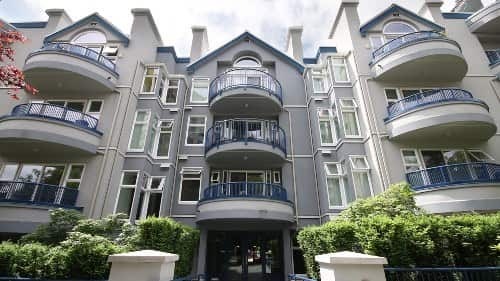 Pacific Quorum Properties is pleased to announce that we will be providing strata property management services at Granville Mansion in Vancouver!! Our team is excited to be working with the Owners & Council Members of Granville Mansion! 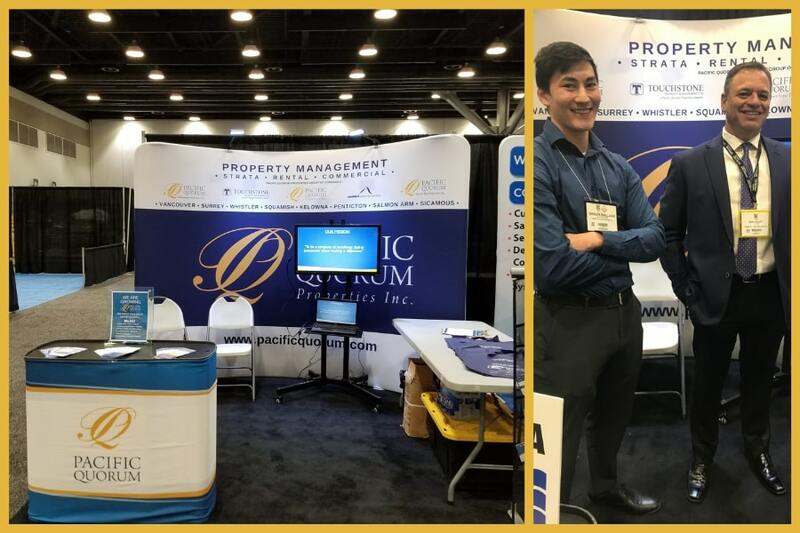 The PQ Team had an amazing time exhibiting at BUILDEX Vancouver 2019. 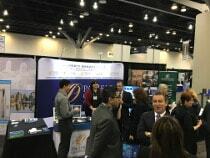 It was a great opportunity to introduce our team to many industry professionals, as well as catch up with some of our existing clients and trade partners. 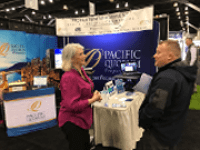 We would like to thank everyone that stopped by the Pacific Quorum booth and we look forward to the opportunities that lie ahead. 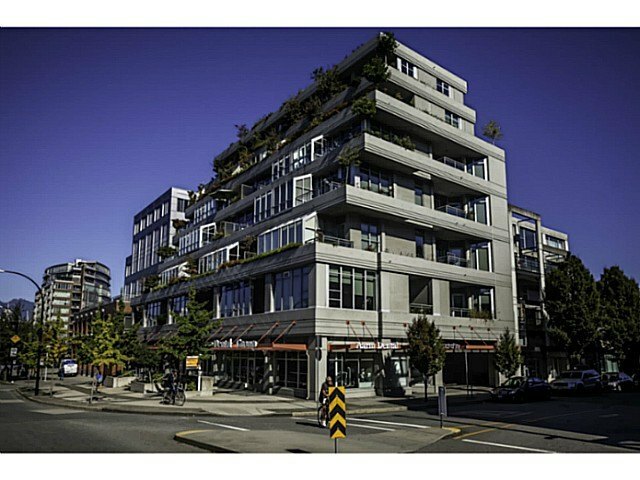 The Pacific Quorum team is pleased to announce that we are providing strata property management services to Westport in New Westminster!!! We look forward to working with the Owners & Council members of Westport to manage their community! 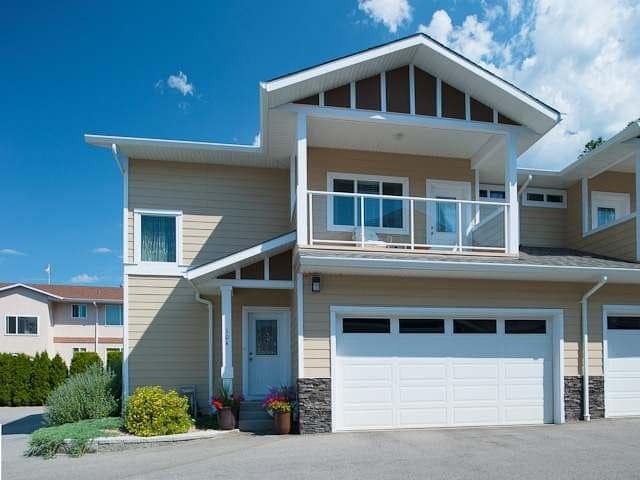 We are pleased to announce that Pacific Quorum (Okanagan) Properties is providing strata management services to Sage Bluff Estates in Penticton!!! Our team is excited to be working with the Owners & Council members of Sage Bluff Estates! 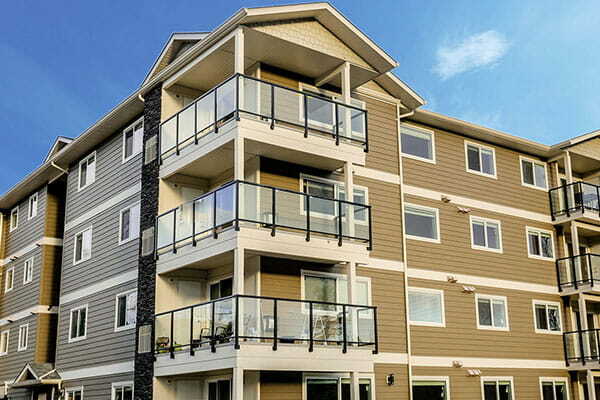 Pacific Quorum (Okanagan) Properties will be providing strata property management services to Riverside Place!!! 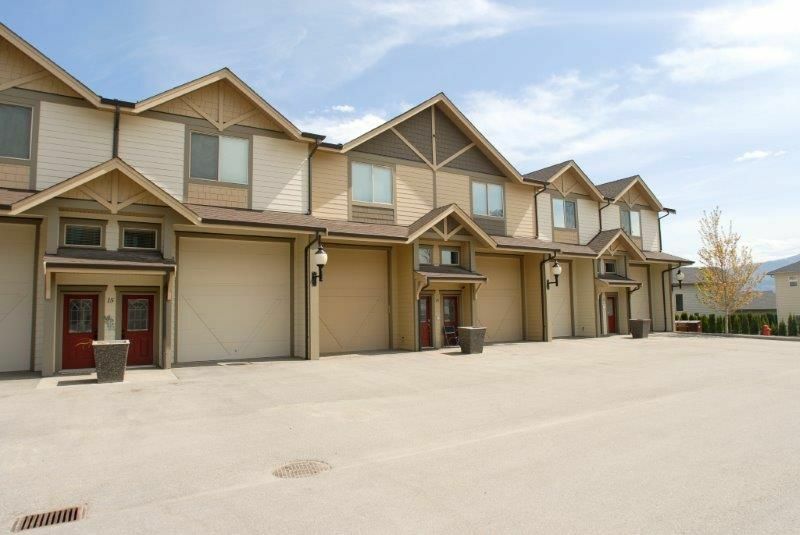 We are pleased to be working with the Owners & Council members of of this 30-unit property in Oliver! 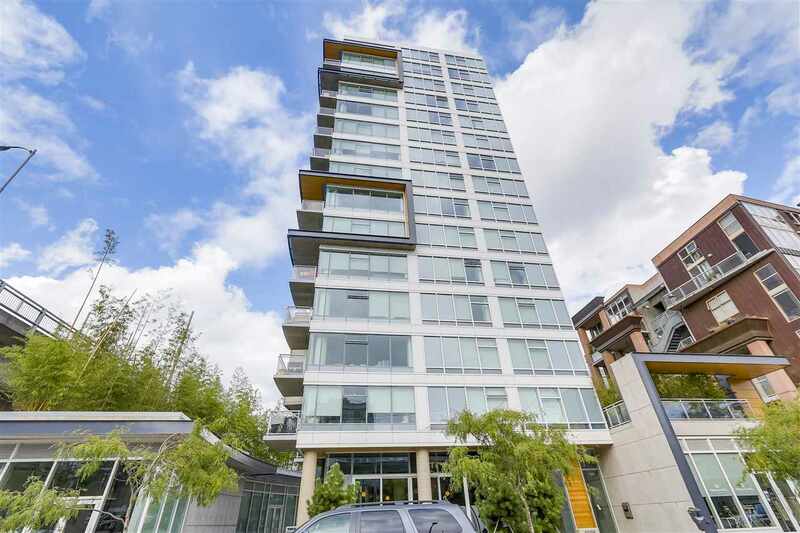 We are excited to announce that Pacific Quorum Properties will be providing strata management services to Mercy in Vancouver!!! We look forward to working with the Owners & Council members of Mercy! Pacific Quorum named Vancouver’s Top Property Management Company in 2019!! Top Company for a given category. The award is based entirely on customer feedback! Top Property Management Company 9 years in a row!!! 2018 PQ Food Drive Brings In 7,023 lbs of Food!! 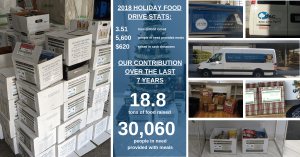 Pacific Quorum’s Annual Holiday Food Drive raised a record-setting 7,023 lbs of food in 2018, which is enough food to feed over 5,600 people in need throughout Metro Vancouver, The Fraser Valley, The Sea to Sky Corridor, the Okanagan Valley & Shuswap!!! Additionally, we were able to raise over $620 in cash donations to support our local food banks! This is great project that we are involved in every year, and there are many people to thank for this year’s success, starting with our clients that generously participated and gave to this worthwhile cause. Since 2012, PQ has raised 18.8 tons of food, which is enough food to provide meals to over 30,000 people in need!!! Our team is pleased to announce that we will be providing strata property management services to Treetops!! 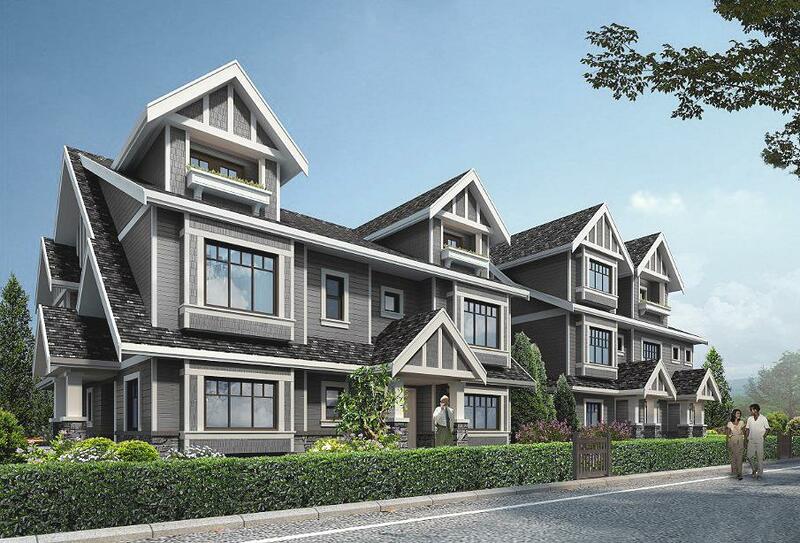 We are excited to be working with the Owners & Council Members of this 172-unit townhouse complex in Port Moody!! Every year, we work with our local food banks to organize Food Drives within our offices and the buildings we manage! Over the last 6 years, we have raised over 15.3 tons of food, enough food to provide meals for over 24,400 people!! As part of this project, we have also set up a Virtual Food Drive with the Greater Vancouver Food Bank to accept monetary donations! Click here to support the Greater Vancouver Food Bank with a donation today! Every year, Pacific Quorum organizes a holiday food drive within the buildings we manage as well as in our own offices! This year, our team made a goal to sign-up 100 buildings to this incredibly worthwhile cause. 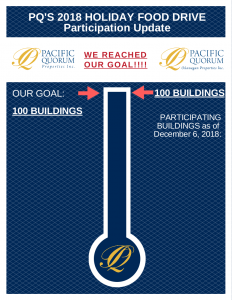 We are excited to announce that we reached our goal this year thanks to the generosity of our clients! We’d like to thank all of our clients from Metro Vancouver, to the Sea to Sky Corridor, all the way out to the Okanagan and Shuswap for helping us reach our goal to make a difference in the communities we serve!!!. The PQ Team is getting ready for our 7th Annual Holiday Food Drive in 2018!! 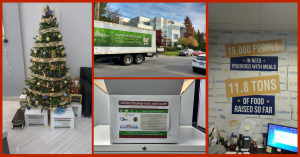 The Greater Vancouver Food Bank and Surrey Food Bank delivered over 200 donation boxes to our Vancouver & Surrey Offices for what we hope is our most successful year yet! Since 2012, our efforts have raised over 15.3 tons of food, which is enough to provide meals to 24,400 people in need. 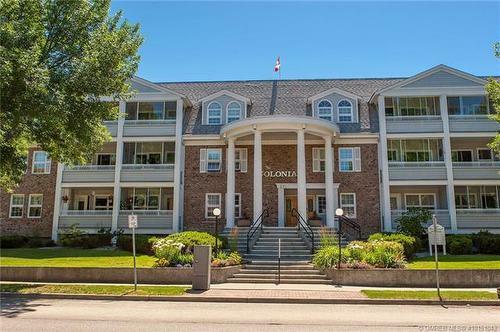 Pacific Quorum (Okanagan) Properties is pleased to announce that our team will be providing strata property management services to the Royal Private Residence Club in Kelowna! Our team looks forward to working with the Owners & Council Members of the Royal Private Residence Club!!! 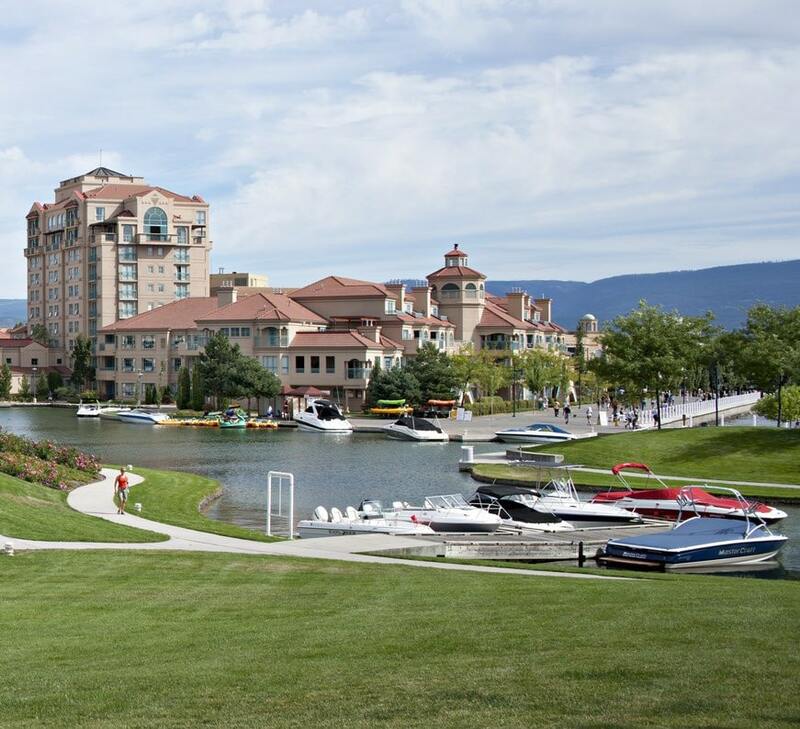 We are excited to announce that Pacific Quorum (Okanagan) Properties will be providing strata property management services to the Grand Okanagan Resort in Kelowna! 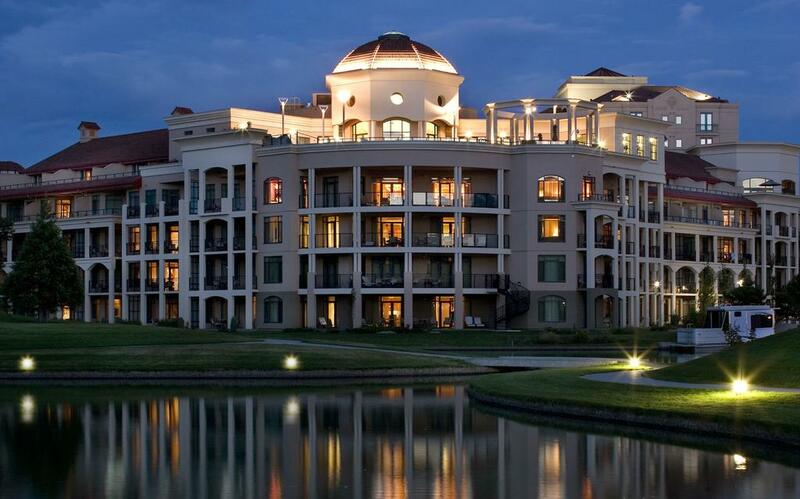 Our team looks forward to working with the Owners & Council Members of the Grand Okanagan Resort!!! Pacific Quorum Properties is teaming up with HUB International to host a FREE Community Event in Surrey on October 17, 2018!!! Attendees will learn about how the Civil Resolution Tribunal (CRT) operates and the implications of the 200+ decisions made over the last two years relating to strata corporations. 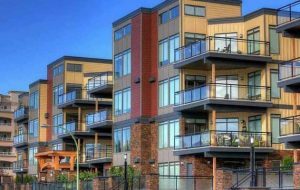 Pacific Quorum (Okanagan) Properties will be providing strata property management services to Bridgewater Village in Penticton! We look forward to working with the Owners & Council Members of Bridgewater Village!! We are happy to announce that we will be providing property management services to Arbutus Village! 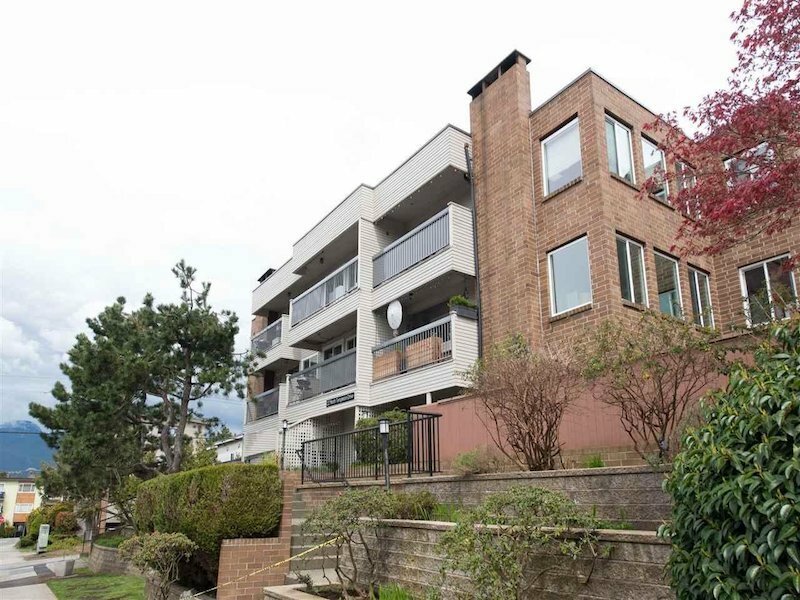 Our team looks forward to working with the Owners of this 76 unit property in Vancouver!! 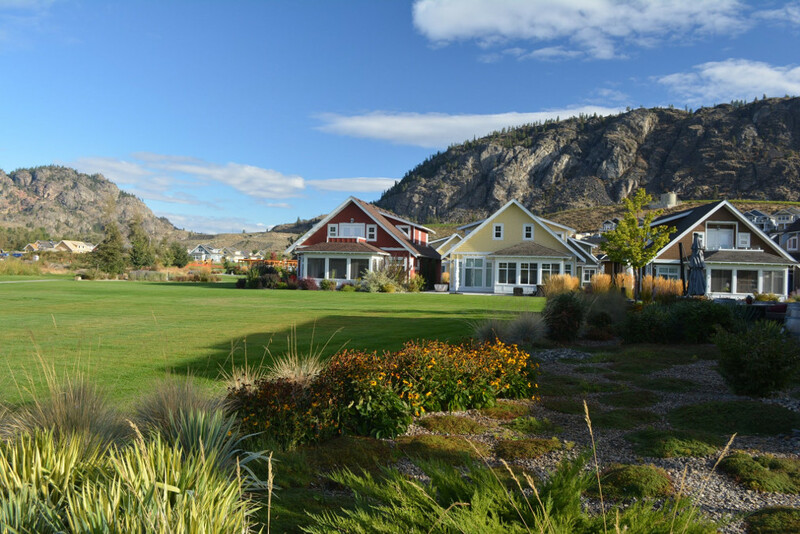 The Pacific Quorum (Okanagan) Properties Team is excited to announce that we are providing property management services to Residences of Spirit Ridge in Osoyoos! 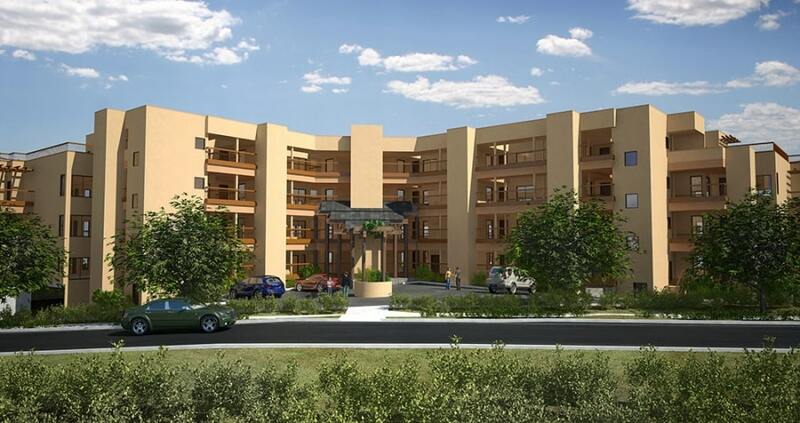 We look forward to working with the Owners & Board members of Residences of Spirit Ridge. 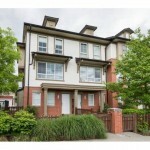 Pacific Quorum is pleased to announce that we are providing to Central Park Place in Burnaby! Our team is excited to work with the Owners & Council Members of Central Park Place!! Growth 500 ranked Pacific Quorum #376 on the 30th annual Growth 500 (previously Profit 500), Canada’s definitive ranking of Fastest-Growing Companies. This is the 6th consecutive year that PQ has been recognized by Growth 500. Check out full Growth 500 List here! 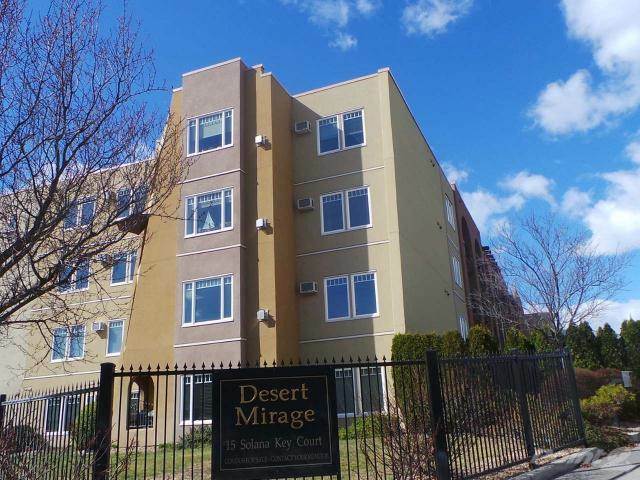 We are pleased to announce that Pacific Quorum (Okanagan) Properties will be providing strata management services to Desert Mirage! 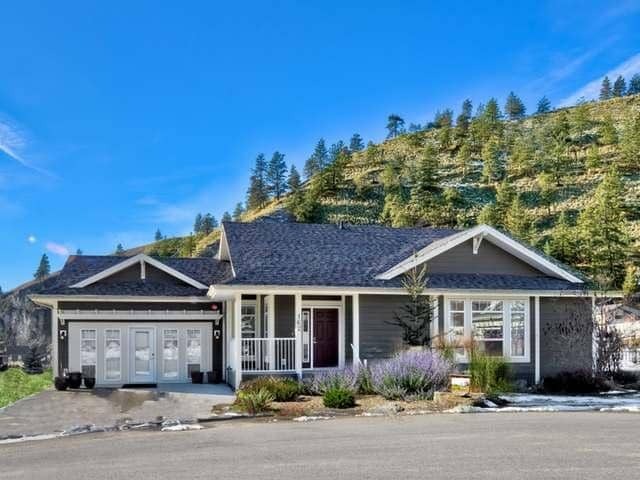 Our team looks forward to working with the Owners and Council members of this property in Osoyoos! 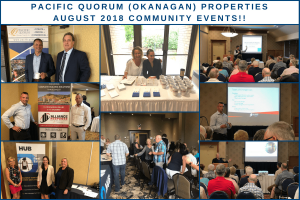 Pacific Quorum (Okanagan) Properties concluded our Community Event Strata Seminar Series with our last show in Penticton on August 15, 2018. We teamed up with Alliance Response Buildings Solutions and HUB International to host a series of FREE Community Events in Salmon Arm, Kelowna and Penticton from August 13, 2018 to August 15, 2018!!! Our Community Events focused on some of the most common challenges that strata corporations face while dealing with water damage at their property, providing attendees with unique insight and perspective from legal, restoration and insurance industry experts that specialize in working with strata corporations. We’d like to thank all those that attended and our guest speakers: Paul Mendes from Lesperance Mendes Laywers, Ken Thompson from Alliance Response Building Solutions, and Shelly Peterson from HUB International! We are pleased to announce that Pacific Quorum (Okanagan) Properties will be providing strata management services to Colonial in Kelowna! We look forward to working with the Owners & Council Members of Colonial! 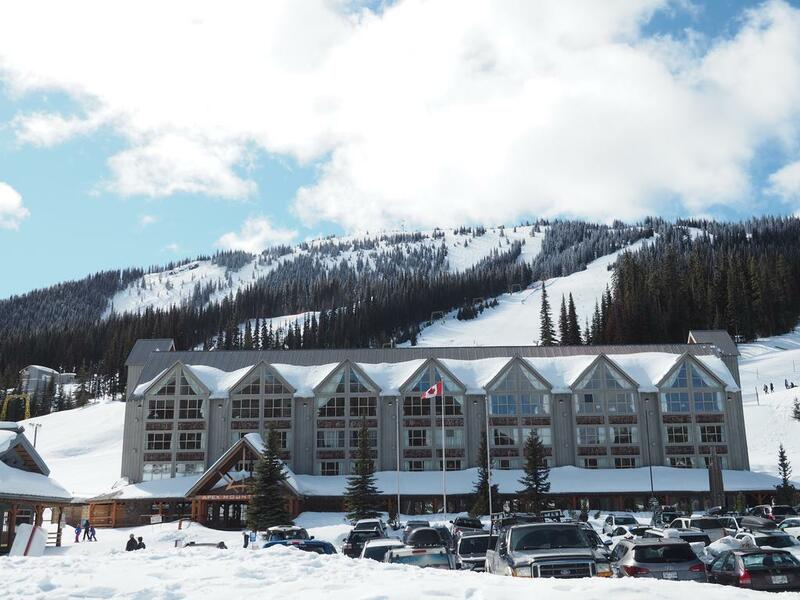 The Pacific Quorum (Okanagan) Properties Team is excited to announce that we will be providing strata management services to the Apex Mountain Inn just outside of Penticton! We look forward to working with the Owners & Council members of Apex Mountain Inn. Pacific Quorum Joins the GVHBA!! We are proud to announce that Pacific Quorum Properties Inc. has joined the Greater Vancouver Home Builders’ Association (GVHBA)!!! The GVHBA is positioned as the voice of the residential construction industry in Greater Vancouver and provides members with industry representation at all levels of government and media, networking opportunities and education. We are excited to announce that Pacific Quorum (Okanagan) Properties will be providing commercial strata management services to Storehouse. 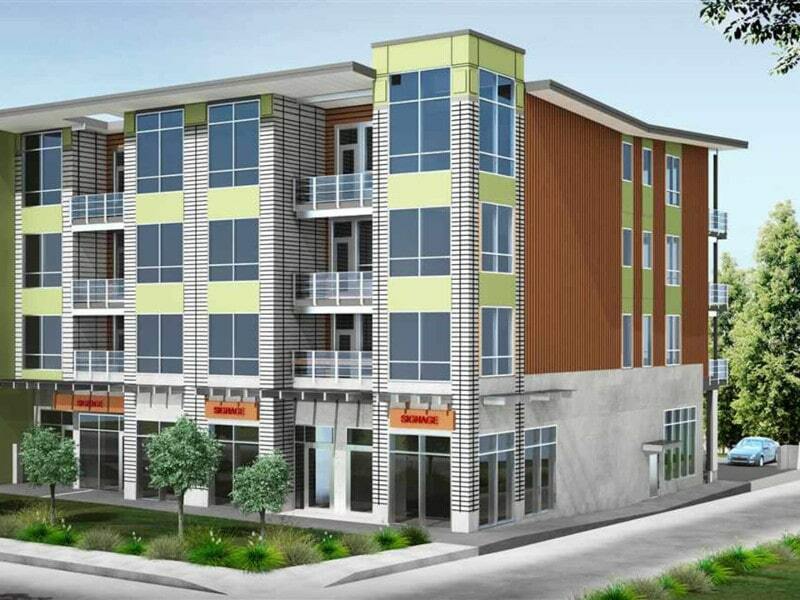 We are excited to be working with the Owners & Council Members of this 28 unit commercial building in Kelowna. Pacific Quorum is pleased to announce that we will be providing to Westmount Park in Burnaby! Our team is excited to work with the Owners & Council Members of Westmount Park! 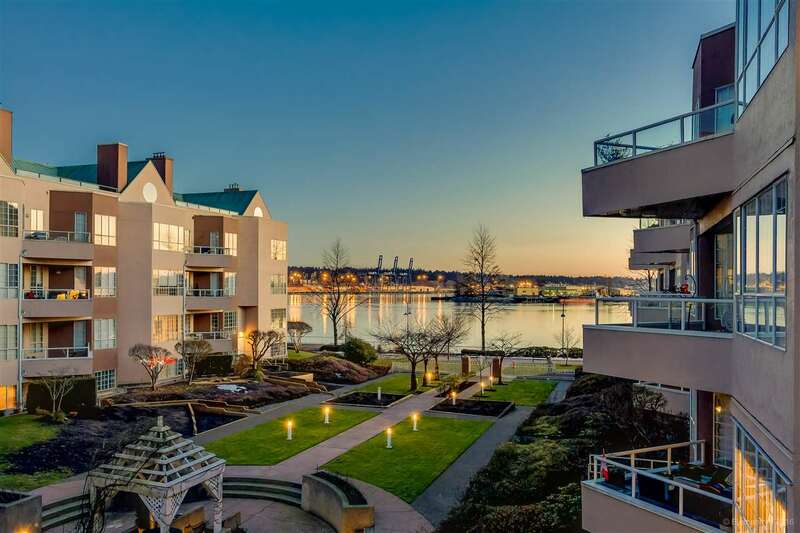 We are pleased to announce that Pacific Quorum will be providing strata management services to Vista Pointe! 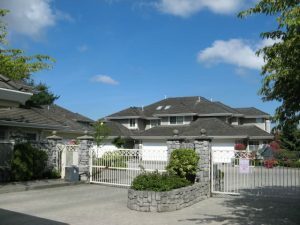 Our team looks forward to working with the Owners and Council members of this property in North Vancouver! Should you require any assistance while the Sicamous Office is closed, please feel free to contact our Salmon Arm Office which is open Monday to Friday from 8:30 AM – 4:30 PM! 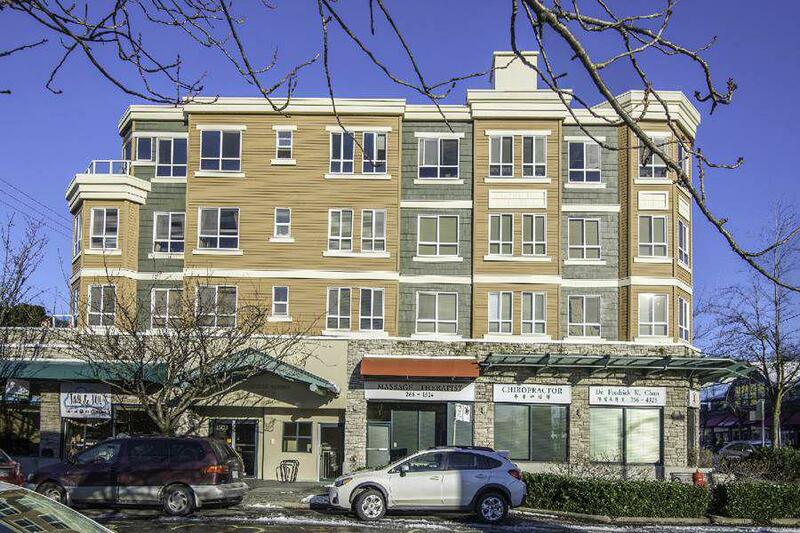 The Pacific Quorum Team is excited to announce that we will be providing strata management services to the Commercial Section of Village Square in Coquitlam! We look forward to working with the Owners & Council members of Village Square. 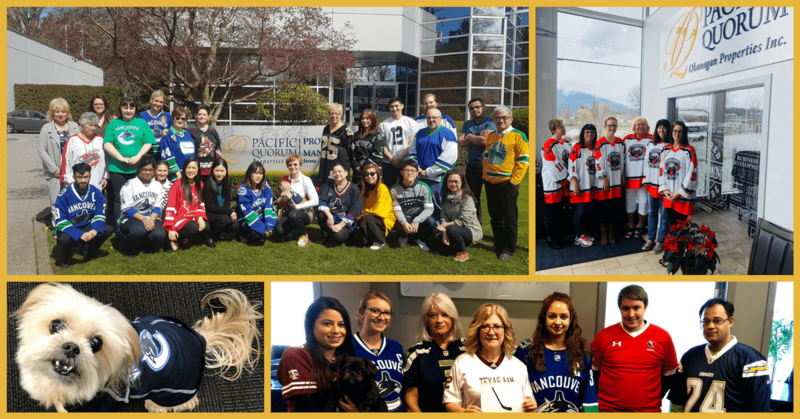 On Thursday, April 12, 2018, members of the Pacific Quorum Team throughout the province showed up to work wearing #JerseysForHumboldt to show our support for players, families and communities that have been affected by the devastating Humboldt Broncos tragedy. 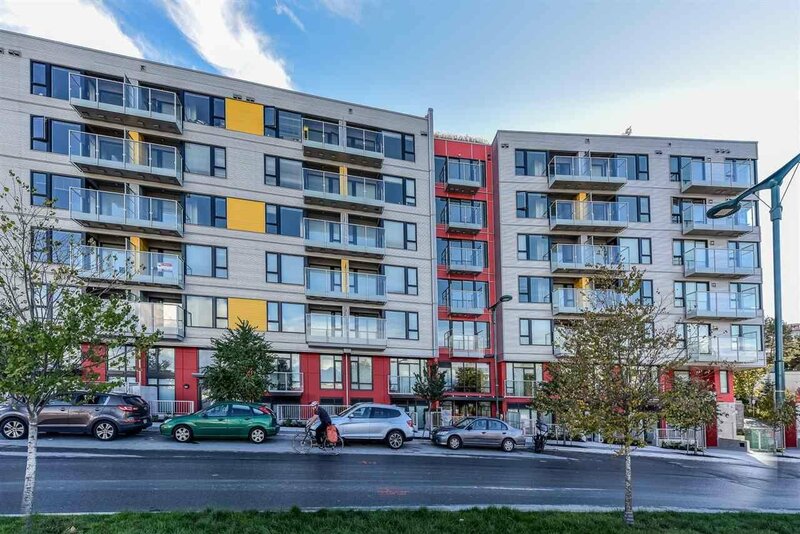 We are excited to announce that Pacific Quorum will be providing strata management services to Canvas, a 209-unit property in Vancouver. Our team looks forward to working with the Owners & Council Members at Canvas. We look forward to working with the Owners & Council Members at 6th & Fir. 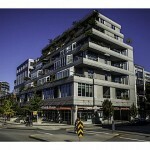 We are pleased to announce that we will be providing rental property management services to Mary Court in Vancouver! Our team is excited to be working with tenants of this 10-unit rental property! Our Team had an amazing time exhibiting at BUILDEX Vancouver 2018. We had the chance to introduce our team to many industry professionals, as well as catch up with some of our existing clients and trade partners. We would like to thank everyone that stopped by the Pacific Quorum booth and we look forward to the opportunities that lie ahead. Pictures from the event can be viewed on the PQ Facebook page! 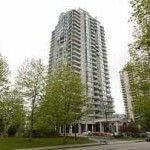 Pacific Quorum is now providing strata management services to Park 360! 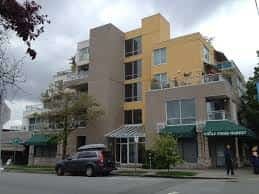 We are excited to start working with the Owners & Council members of this 214 unit apartment complex, located in Burnaby! 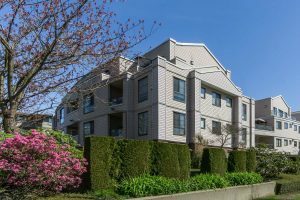 First Shaughnessy Estates, a 4-unit strata, has just joined the Pacific Quorum management portfolio. 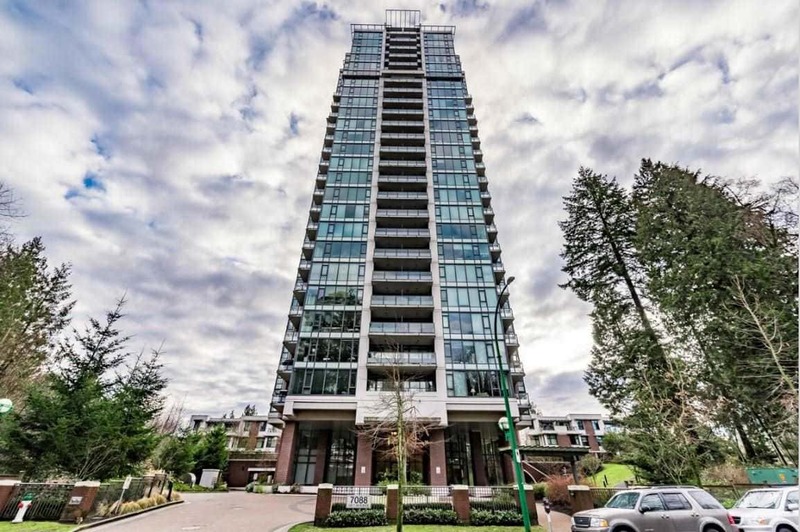 We look forward to providing strata management services at First Shaughnessy Estates! 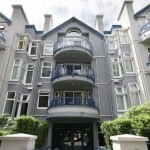 We are excited to announce that Pacific Quorum is providing strata management services to Cambridge Court in Vancouver! The PQ Team looks forward to working with the Owners & Council Members of Cambridge Court. Gablecraft, a 74 unit property located in Kelowna, has joined the Pacific Quorum (Okanagan) Properties strata management portfolio. Our team is looking forward to working with the Owners & Council Members at Gablecraft! PQ Okanagan Celebrates 2-Year Anniversary with PQ Team!!! 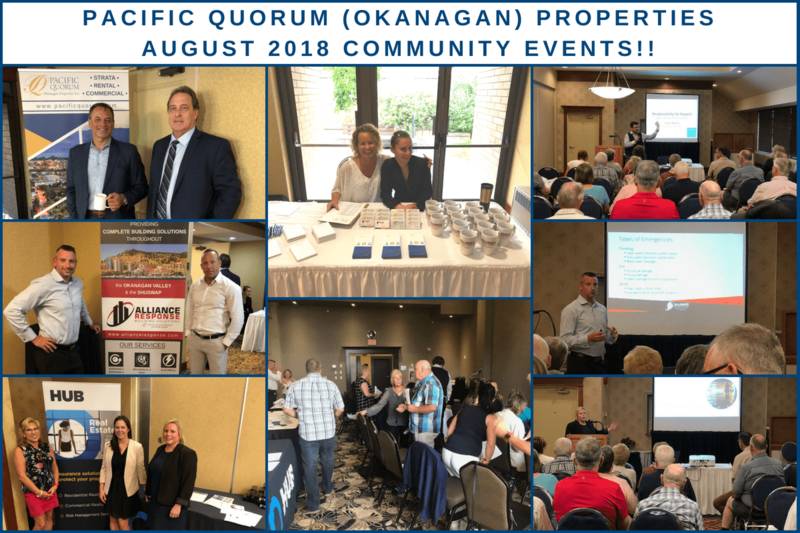 We are excited to celebrate the 2-Year Anniversary of Pacific Quorum (Okanagan) Properties Inc. joining the PQ Group of Companies on February 1, 2018!! We’d like to thank our team for their efforts and contributions to all the great work we have been able to accomplish in the last 2 years!! 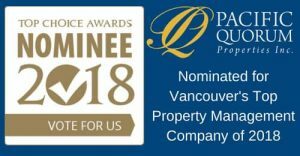 Pacific Quorum named Vancouver’s Top Property Management Company in 2018!! Top Property Management Company 8 years in a row!!! 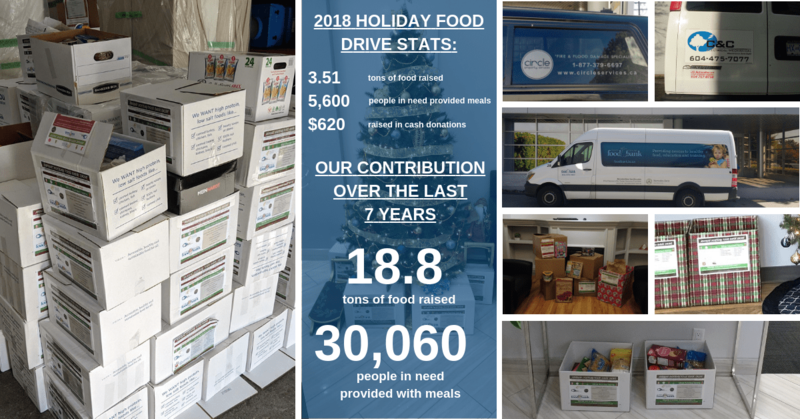 Pacific Quorum’s Annual Holiday Food Drive raised a record-setting 6,762 lbs of food in 2017, which is enough food to feed over 5,400 people in need throughout Metro Vancouver, The Fraser Valley, The Sea to Sky Corridor and the Okanagan Valley!!! Additionally, we were able to raise over $1,500 in cash donations to support our local food banks! Since 2012, PQ has raised over 15.3 tons of food, which is enough food to provide meals to over 24,400 people in need!!! has acquired the Strata Property Management division from Century 21 Performance Realty & Management. 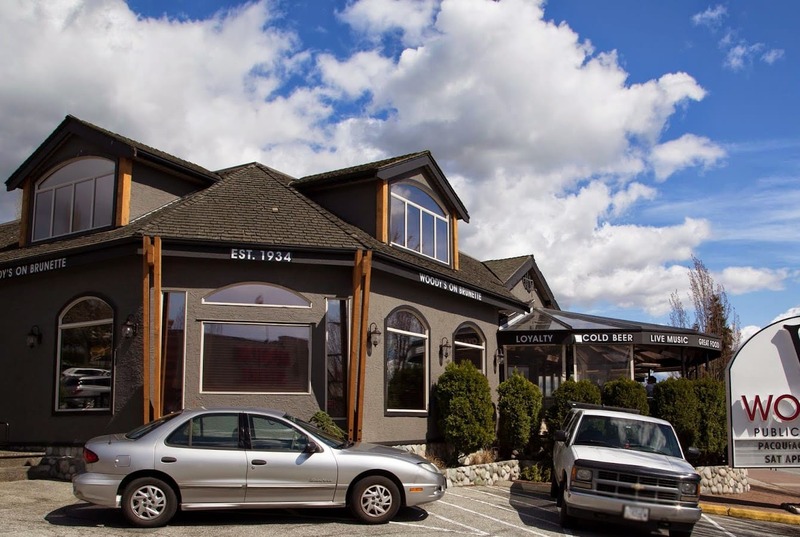 In conjunction with this acquisition, we are opening a new branch office in Squamish (located at 101A-38142 Cleveland Avenue, Squamish, BC) and will be adding 5 members of the Century 21 Team to the Pacific Quorum (Sea to Sky) Properties Team! Please join us in welcoming our newest additions to the PQ Team! We are pleased to announce that Pacific Quorum (Okanagan) Properties is providing property management services to the Penticton Youth Centre! We look forward to working the shareholders of this property! 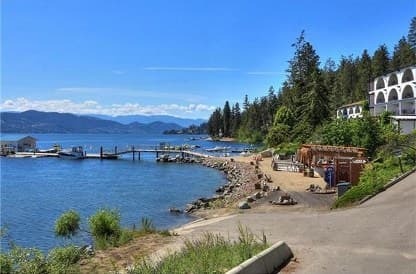 Pacific Quorum (Okanagan) Properties is excited to be providing property management services to Cottages on Osoyoos Lake! 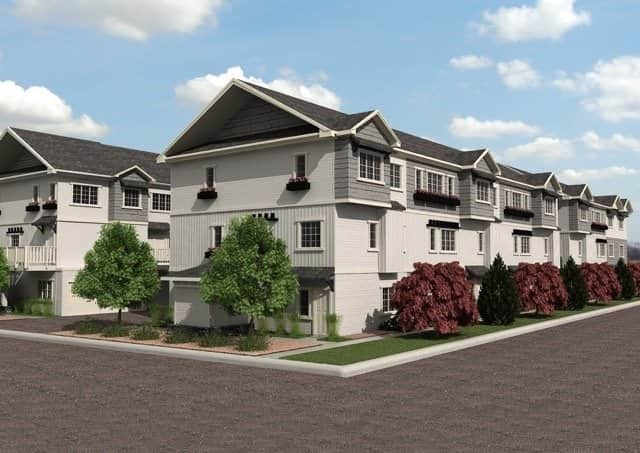 Our team looks forward to working with the residents of this 285-unit property in Oliver, BC! 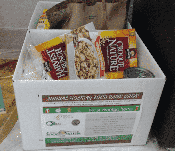 Every year, we work with our local food banks to organize Food Drives within our offices and the buildings we manage! Over the last 5 years, we have raised over 11.8 tons of food enough food to provide meals for over 19,000 people!! As part of this project, we have also set up a Virtual Food Drive with the Greater Vancouver Food Bank to accept monetary donations! 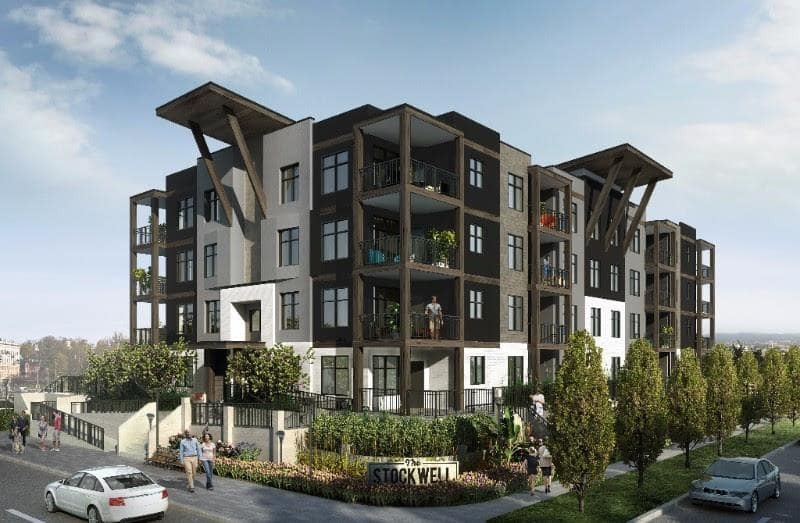 Pacific Quorum (Okanagan) Properties is excited to announce that we will be providing strata management services to Stockwell! 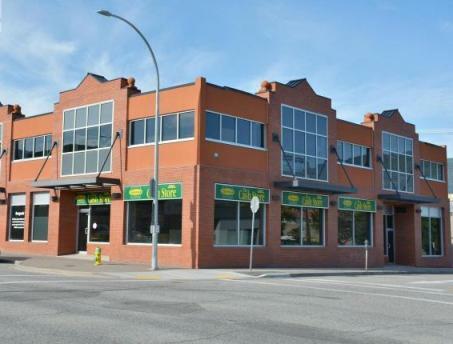 We look forward to working with the Council & Owners of this property located in Kelowna! Pacific Quorum has been nominated for the 2018 TOP CHOICE AWARDS Top Property Management Company of 2018 in Vancouver!! You can show your support for the Pacific Quorum Team by clicking on the above and voting Today!! Effective December 1, 2017, Pacific Quorum (Okanagan) Properties is set to provide strata management services to Point Beach Villas 2!! Our team looks forward to working with the Council & Owners of this 24 unit property in Kelowna! Pacific Quorum ranked 3rd in Number of Condo Buildings Managed and 6th in Number of Condo Units Managed in CondoBusiness Magazine’s Who’s Who 2017 ranking. CondoBusiness Magazine’s Who’s Who ranks Canada’s Top 10 Management Companies in 2017 by Portfolio Size!! 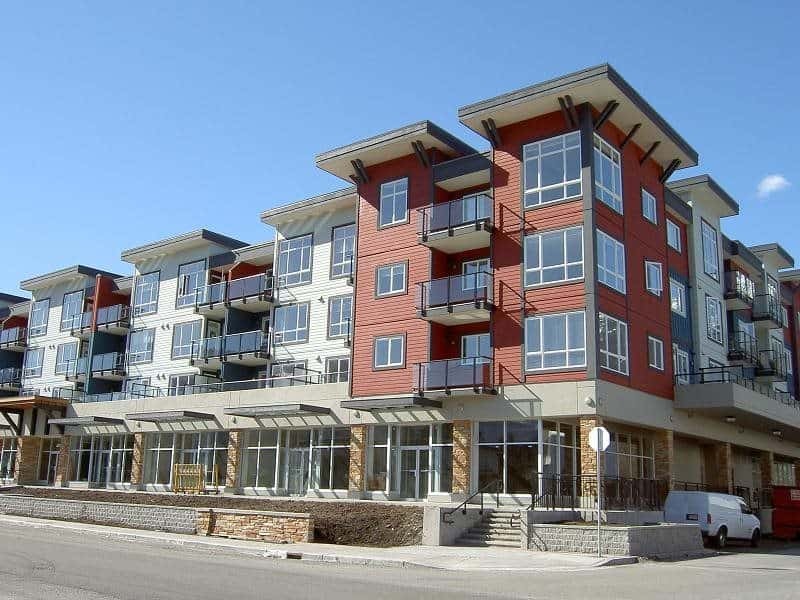 The Condos has recently joined the Pacific Quorum (Okanagan) Properties strata management portfolio! The PQ OK team is pleased to be working with the Owners & Council of this 18 unit property in Kelowna!! 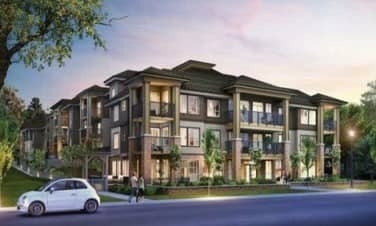 Pacific Quorum (Okanagan) Properties is excited to be providing strata management services to Fairview Townhomes in Kelowna! We look forward to working with the Council & Owners! 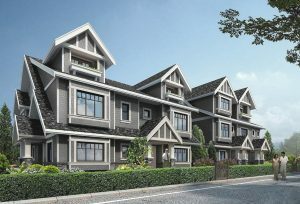 The PQ Okanagan Team will be providing strata management services to Imperial Heights, a 24 unit property in Salmon Arm! Our team is excited to work with the Council & Owners of Imperial Heights! As of October 15, 2017, Pacific Quorum (Okanagan) Properties will be providing property management services Tesoro Arca! We look forward to working the Owners & Board Members of this 72 unit property in Westbank!! Touchstone Celebrates 1st Anniversary with PQ Team!! We are excited to celebrate Touchstone Property Management joining the Pacific Quorum Group of Companies on October 1, 2017!! We’d like to thank our team for their efforts and contributions to all the great work we have been able to accomplish in the past year!! Canadian Business and PROFIT ranked Pacific Quorum #278 on the 29th annual PROFIT 500, Canada’s definitive ranking of Fastest-Growing Companies. This is the 5th consecutive year that PQ has been recognized by PROFIT 500. Check out full PROFIT 500 List here! 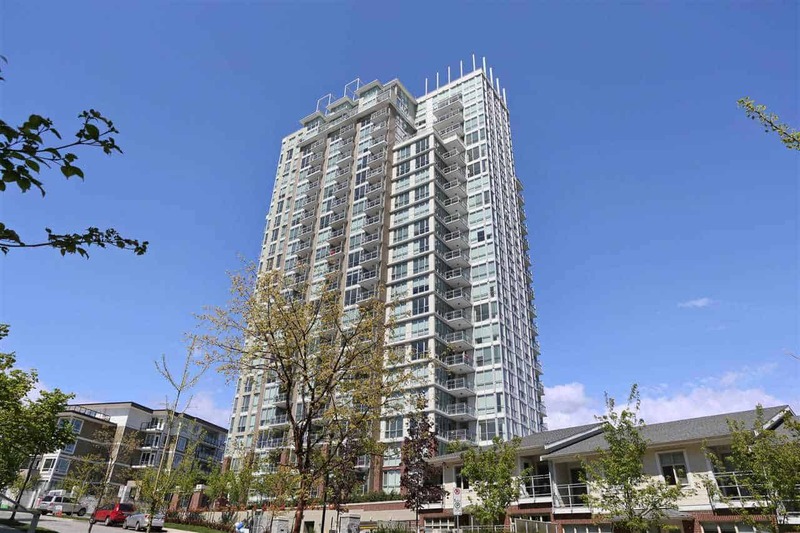 We are pleased to announce that we will be providing strata management services at Crystallis in Vancouver! We are excited to start working with the Owners & Council Members of this 104 unit property! 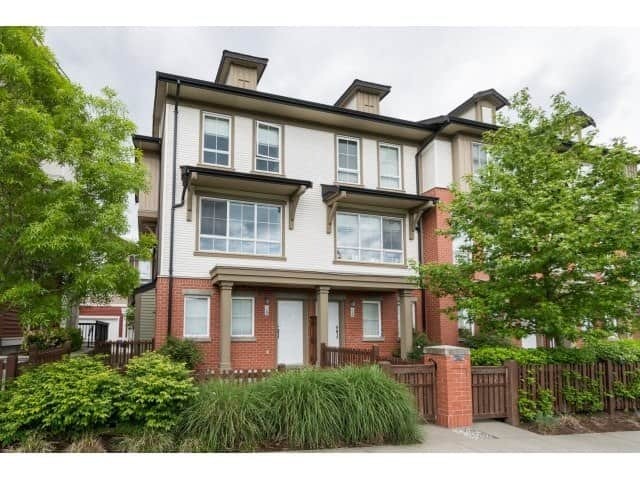 As of September 1, 2017, Pacific Quorum will be providing strata management services to Edgeview Manor, a 22 unit property in Burnaby!! Our team looks forward to working with the Owners & Council Members! 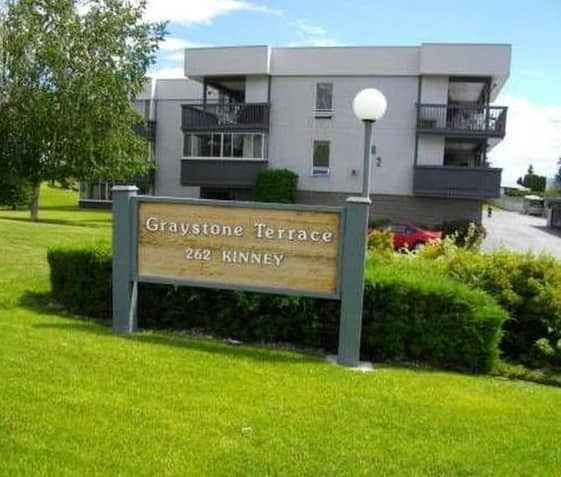 Pacific Quorum (Okanagan) Properties will be providing Strata Management services to Graystone Terrace in Penticton! Our team is excited to work with the Owners & Council Members of this 32 unit property! As of August 1, 2017, Pacific Quorum will be providing strata management services to Pacific Terrace! 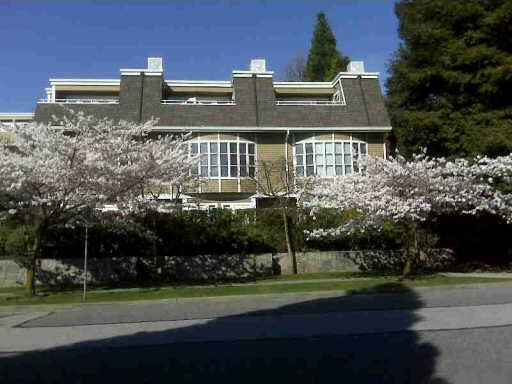 We look forward to working with the Owners & Council Members of this 30 unit property in Vancouver! PQ OFFICIALLY ARRIVES IN THE OKANAGAN!!! We are excited to announce that Okanagan Strata Management is now Pacific Quorum (Okanagan) Properties Inc.!!! The rebranding of OSM highlights a significant step forward for the entire PQ Group of Companies, and better aligns the brand of our Okanagan Operations with PQ! 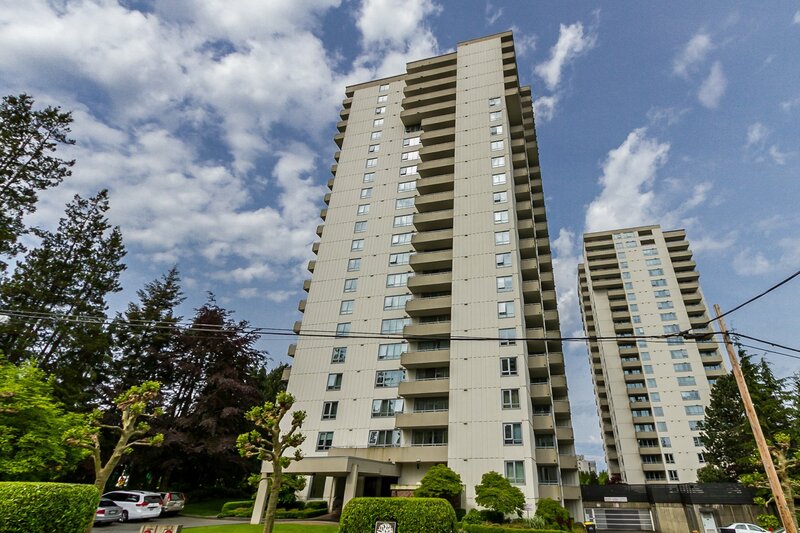 We are excited to announce that Pacific Quorum will be providing strata management services to Tigris Gardens! We welcome the Owners & Council Members of this 20 unit property, located in Richmond! Pacific Quorum (Sea to Sky) Properties will be providing strata management services to Spectacle in Squamish! Our team is excited to work with the Owners & Council Members of Spectacle! 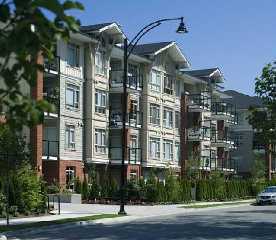 As of July 1, 2017, we will be providing strata management services to the Gateway, a 36 unit property located in Maple Ridge! We look forward to working together with the Owners & Council Members! 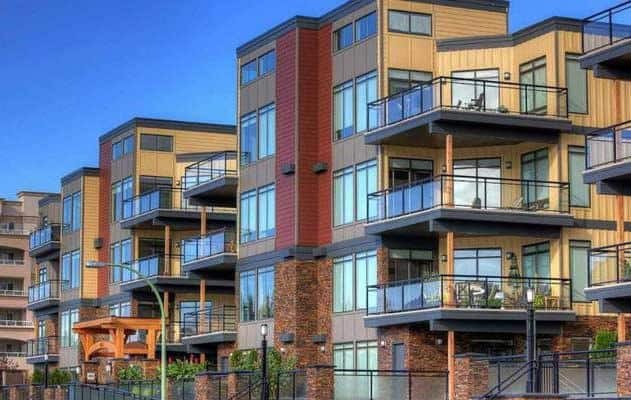 PQ will be providing strata management services to Riverside Place, a 52 unit property located in Port Coquitlam, BC. We look forward to working with the Owners & Council Members! 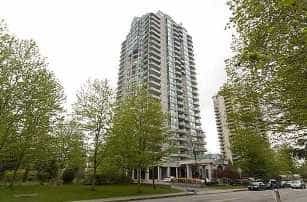 As of June 13, 2017, PQ will be providing strata management services to Parkside at Victoria Hill!! 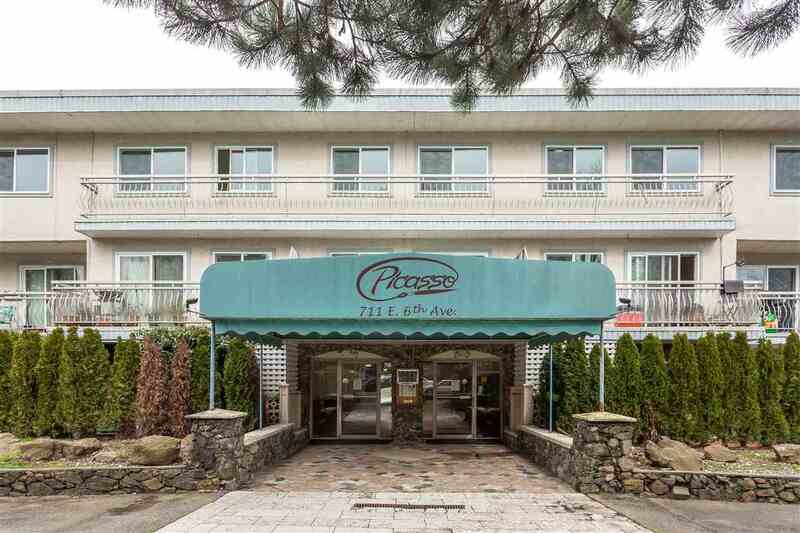 Our team looks forward to working with the Owners & Council Members of this 248 unit property located in New Westminster!. 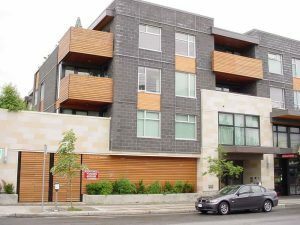 PQ subsidiary, Okanagan Strata Management has just been awarded the contract to provide strata management services to Ambrosi Court as of June 1, 2017! 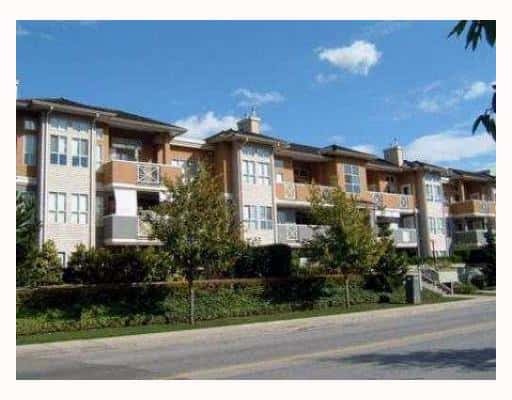 Our team is excited to work with the Owners & Council Members of this 72 unit property, located in Kelowna! We are excited to announce that PQ will be providing strata management services to The Mack as of June 1, 2017! 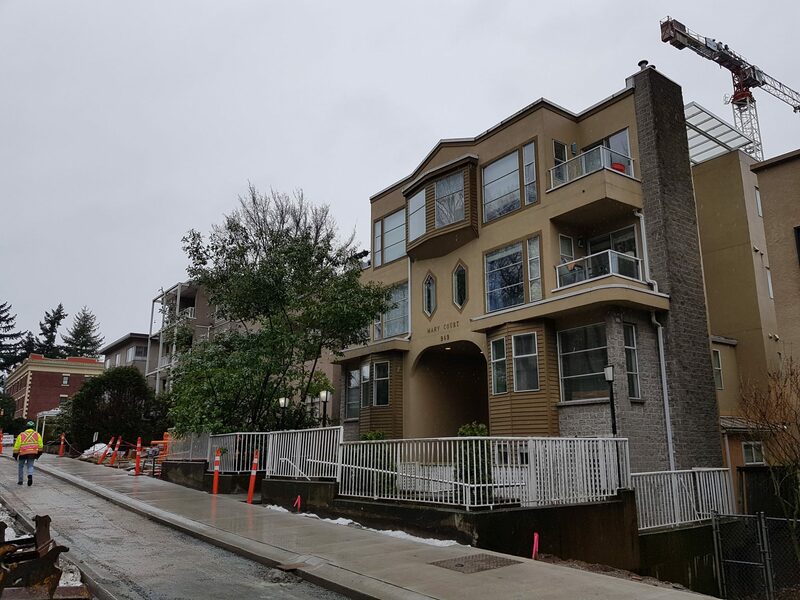 We look forward to working with the Owners & Council Members of this 37 unit residential strata property, located in Vancouver!! As of June 1, 2017, PQ will be providing strata management services to Summerlea Pointe! 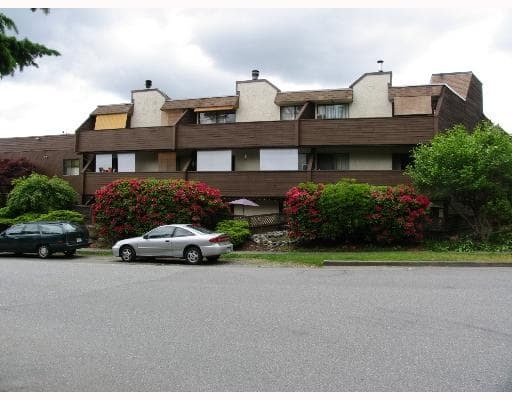 We look forward to working with the Owners & Council Members of this 44 unit property located in Surrey! As of May 1, 2017, PQ will be providing property management services to Focal Point! 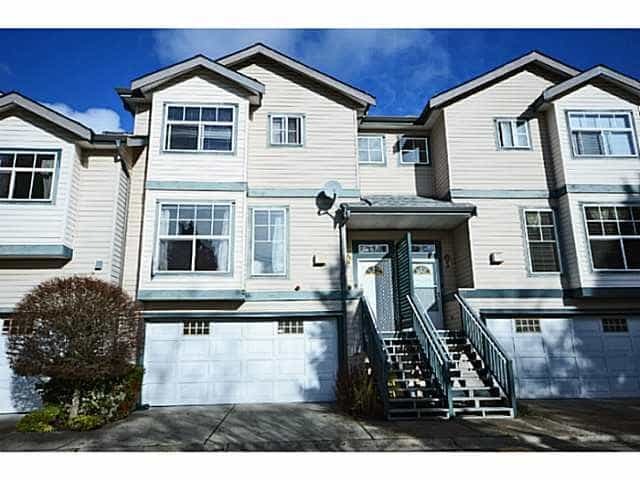 We look forward to working with the Owners & Council Members of this 57 unit property located in Surrey! 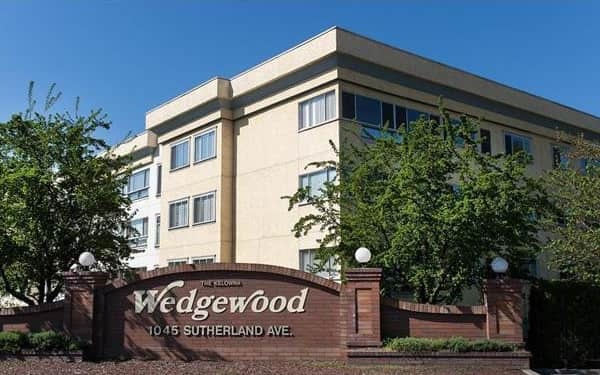 PQ subsidiary, Okanagan Strata Management has just been awarded the contract to provide property management services to Wedgewood as of May 1, 2017! 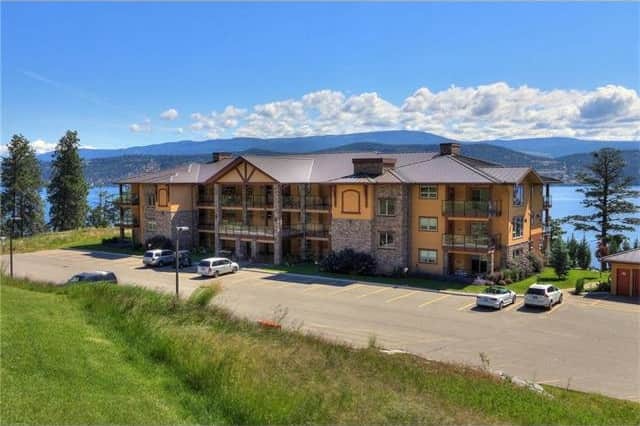 Our team is excited to work with the Owners & Council Members of this 161 unit property, located in Kelowna! This marks the 7th Consecutive Year that PQ has won this prestigious award, dating back to 2011! Top Property Management Company 7 years in a row!!! The PQ Team had an amazing time participating at BUILDEX Vancouver 2017. We had the chance to introduce our team to many industry professionals, as well as catch up with some of our existing clients and trade partners. 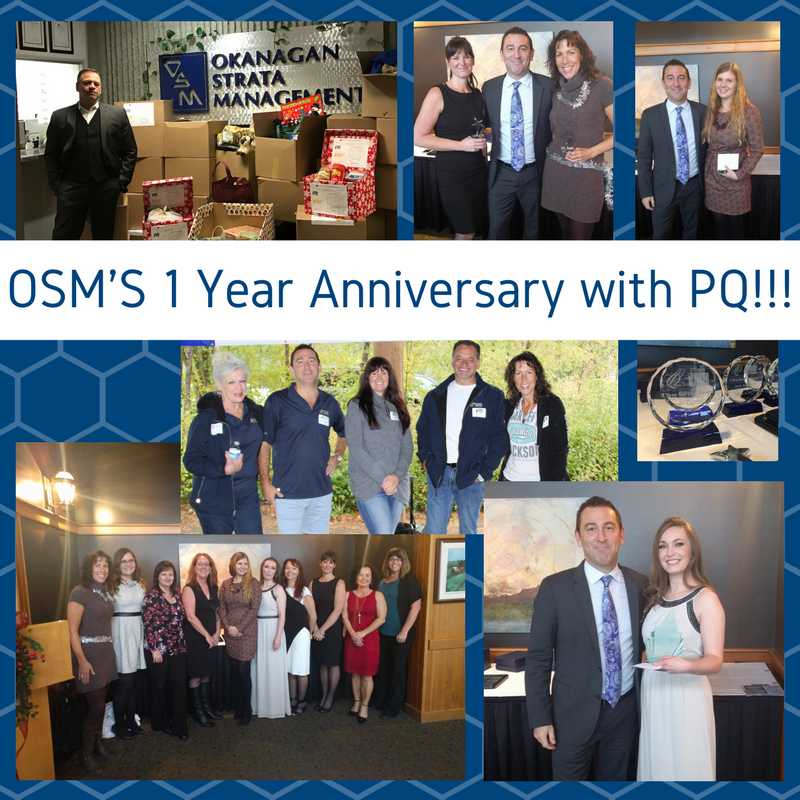 OSM Celebrates 1 Year Anniversary with PQ Team!!! We are excited to celebrate the 1-year Anniversary of Okanagan Strata Management joining our team on February 1, 2017!!! 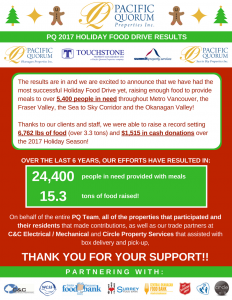 In the past year, we have accomplished a lot as a team, including becoming one of BC’s largest locally-owned and operated Property Management Firms and introducing some great programs to the Okanagan, like PQ Online, our Annual Holiday Food Drive and the first ever OSM Staff Award Ceremony!! We are very proud of all we accomplished over this last year and look forward to the exciting new opportunities to come!!! 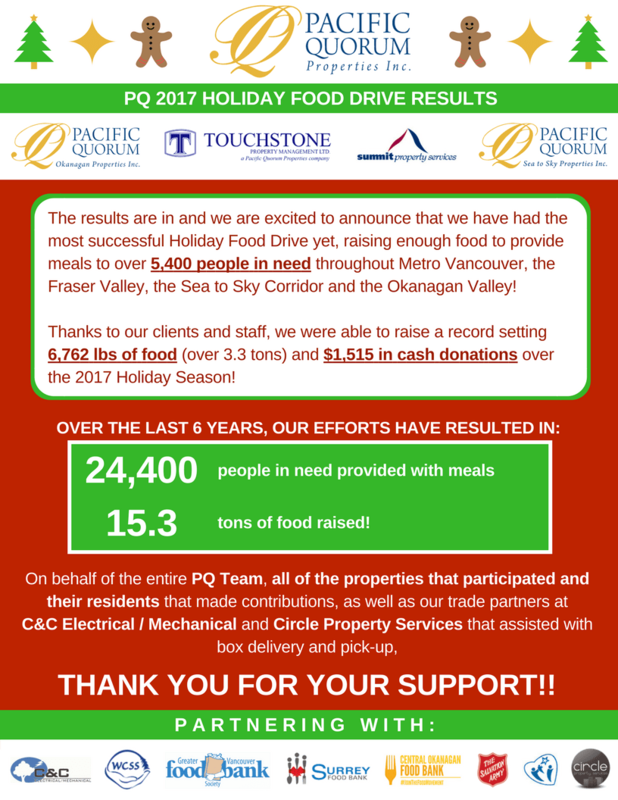 Pacific Quorum’s Annual Holiday Food Drive raised a record-setting 5,390 lbs of food in 2016, which is enough food to feed over 4,300 people in need from Metro Vancouver to the Okanagan Valley!!! 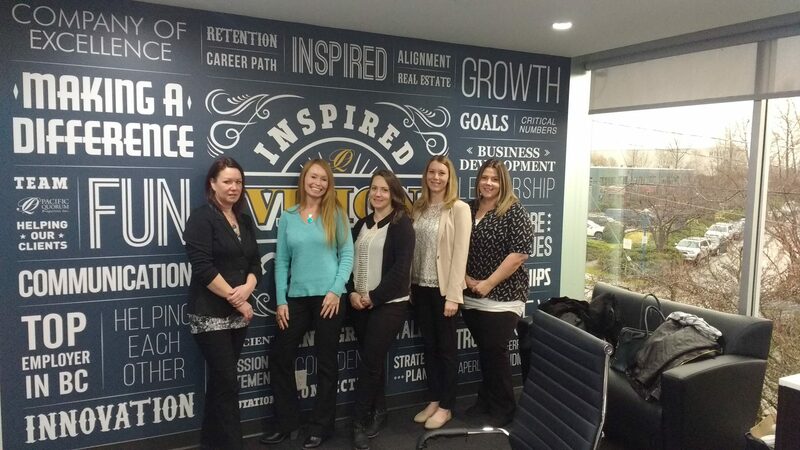 In addition to raising a record-setting amount of food, we were able to introduce this program through our teams at Okanagan Strata Management and Touchstone Property Management. Since 2012, PQ has raised over 11.8 tons of food, which is enough food to provide meals to over 19,000 people in need!!! We are excited to welcome the Owners and Council Members of the Picasso – VR 2691 to the PQ Team!!! 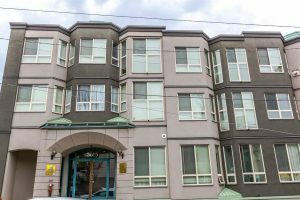 As of January 1, 2017, Pacific Quorum will be managing this 97 unit property, located in Vancouver!! 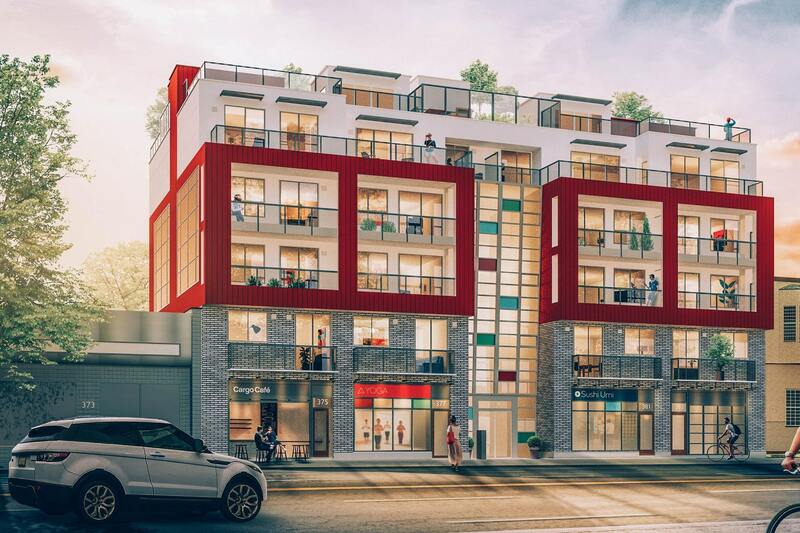 Pacific Quorum is excited to announce that we will be providing Strata Management services to SYNCHRO, a new development featuring 29 smart homes in Mount Pleasant. Learn more about SYNCHRO at synchro.bold.ca! Holiday spirits were up at the 2016 PQ Staff Holiday Party on December 16, 2016!!! It was a wonderful event filled with great food, amazing conversation, and a magnificent view of the Vancouver Skyline! Check out the PQ Facebook Page for photos from the event and to view our Annual PQ Staff Awards winners!! Every year, we work with our local food banks to organize Food Drives within our offices and the buildings we manage! This year, Okanagan Strata Management and Touchstone Property Management are joining our efforts!! Over the last 4 years, we have raised enough food to provide meals for over 14,000 people!!! Okanagan Strata Management held their Staff Holiday Party on December 2, 2016. The Pacific Quorum Management team stopped by to enjoy the festivities and to present the first ever joint PQ-OSM Staff Awards. Check out the OSM Facebook Page to view our first ever PQ-OSM award winners and for pictures from the event!!! 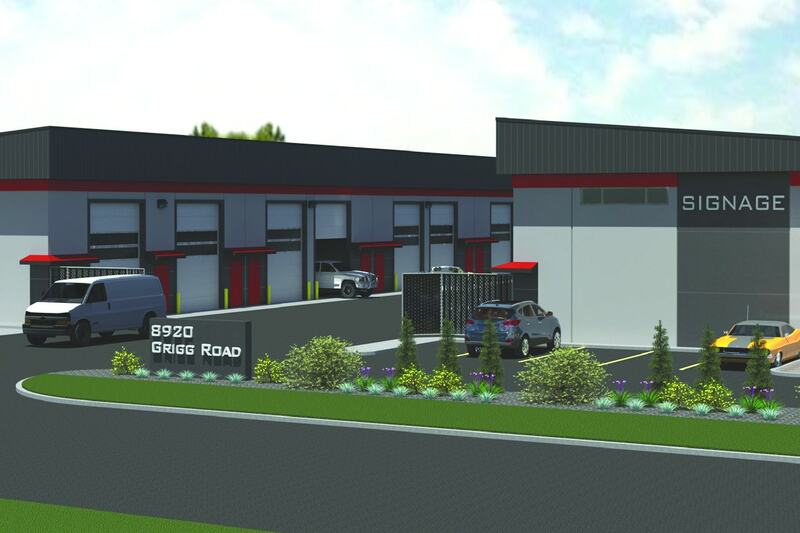 As of November 1, 2016, PQ will be managing The Eclipse – BCS 3116, a 56 unit property located in Surrey. We are excited to welcome the owners and council members of The Eclipse, and look forward to the opportunity to work with you!! We are excited to welcome the Owners and Council Members of Sandborne Hill to the PQ team. As of October 1, 2016, Pacific Quorum will be providing property management services to this 42 unit property located in Burnaby! 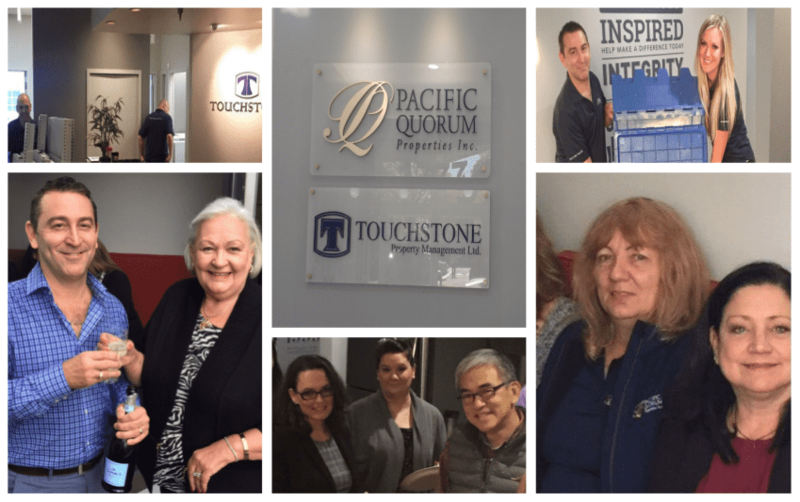 Pacific Quorum has signed a definitive agreement to acquire Touchstone Property Management Ltd. This continues a growth-filled year for Pacific Quorum, after acquiring Okanagan Strata Management in February earlier this year. Click here for the full story! Canadian Business and PROFIT ranked Pacific Quorum #329 on the 28th annual PROFIT 500, Canada’s definitive ranking of Fastest-Growing Companies. This is the 4th consecutive year that PQ has been recognized by PROFIT 500. For the full story, click here! The PQ Team had a great time over the weekend at Mundy Park for the 2016 edition of the Annual PQ Summer BBQ! A big thank you to all of our vendors for their generous prize donations, as well as to the PQ Team for making it such a fun and memorable afternoon! For more great pictures from the event, check out the PQ Facebook page! 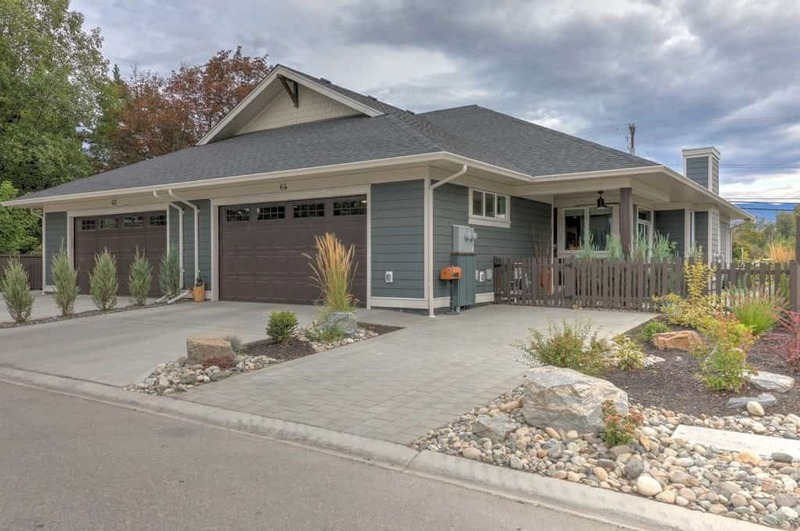 We are pleased to welcome Owners and Council Members of the Clayton Rise property to the Pacific Quorum team as of September 1st! 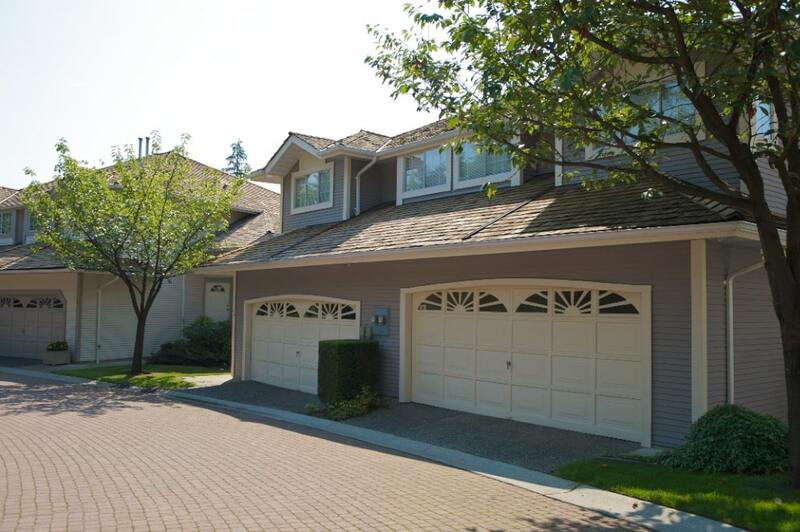 PQ is very excited to provide strata management services to this three-level, 143 townhouse property and clubhouse located in Surrey. As of August 1st, Pacific Quorum will be providing property management services to Coral Court & Dolphin Court! We look forward to working with the Owner and Council Members of this 20 unit property in Richmond. 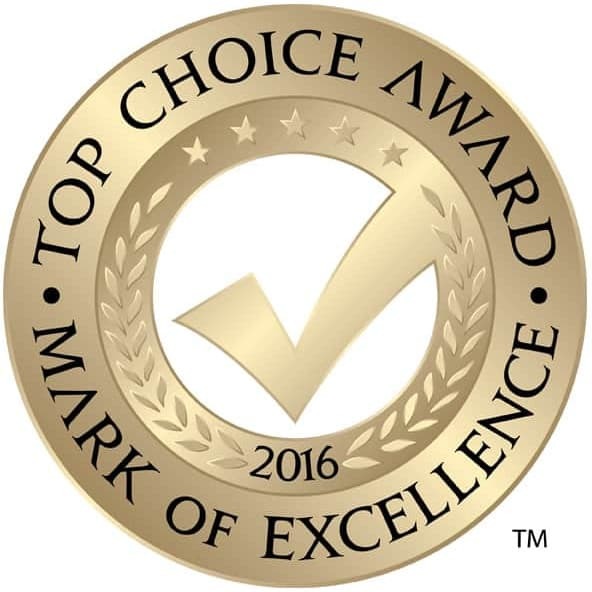 We are thrilled to announce that we have been awarded the 2016 Top Choice Award as top property management company in Vancouver! A huge thank-you to our clients for voting for us! Our Whistler Office Has Moved! Our Whistler office has moved to a new location, effective June 1, 2016! Please note our new address: 204-1055 Millar Creek Road, Whistler. We welcome Owners and Council members of Loft 495! 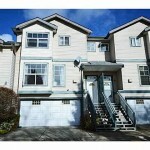 We commence management of this Vancouver property on May 1st. We look forward to bringing value to Loft 495! 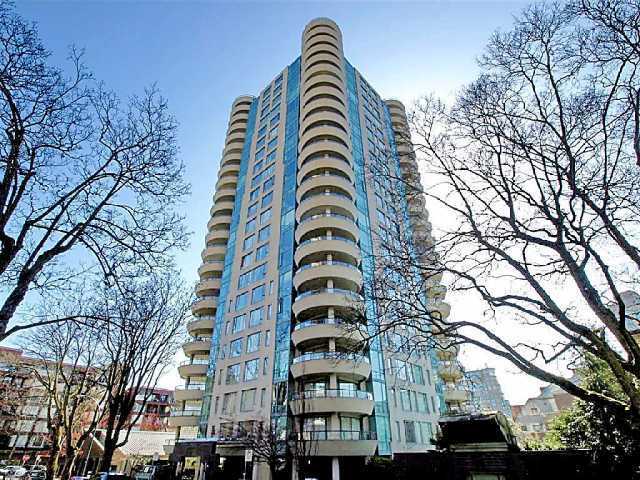 As of April 1, 2016, Pacific Quorum will provide property management services to LMS 1089 (Vancouver)! We are pleased to welcome the 78 Owners of LMS 1089. 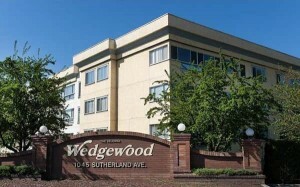 We are excited to announce that our Vancouver office has moved to 1777 West 75th Avenue! We welcome our staff and clients to view our new PQ headquarters. Pacific Quorum Properties Acquires Okanagan Strata Management Ltd! We are pleased to announce that Pacific Quorum Properties has acquired Okanagan Strata Management Ltd. (OSM), effective February 1, 2016. Now the largest locally-owned property management service provider in B.C., we are pleased to bring our unique regional approach to the Okanagan. Pacific Quorum Properties has offices in Vancouver, Surrey, Whistler, and now, Kelowna, Penticton and Sicamous. A sincere thank you to our staff and clients who contributed so generously to the Pacific Quorum Christmas Food Bank drive! We are pleased to announce that over 4180 lbs of food was raised this holiday season for the food bank! To date, over 9.2 tons of food have been collected for this charitable initiative! We are happy to support the Greater Vancouver Food Bank, Richmond Food Bank, Surrey Food Bank, and Whistler Community Services Society. We are excited to start off the New Year by commencing management of Manarola (Surrey) and Remix (North Vancouver). We look forward to working with the Owners and Strata Council at these properties! We are pleased to note that Pacific Quorum has been awarded the management of the following properties, commencing December 1, 2015: Modern (Vancouver), Wildwood Terrace (Maple Ridge), and Dolphin (West Vancouver). We look forward to working with these Owners and Council members! 4th Annual Food Bank Drive! 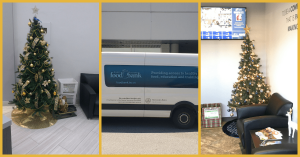 Pacific Quorum Properties is proud to once again be supporting the Christmas Food Bank in our local communities by organizing food drives within the properties we manage and our PQ offices. Together we have raised 7.1 tons of food over the past three years and are excited to grow this number! The PQ team participated in the CIBC Run for the Cure to raise awareness and support for breast cancer research, detection and treatment. We are pleased to announce that we raised over $9,000 for this great cause. Thank you to our team members, families, and friends for the generous donations and support! 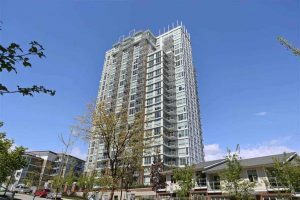 Welcome to the 146 Owners of Grand Central Park Place located in Burnaby! We are looking forward to providing property management services to your building effective Oct 1 2015. Pacific Quorum staff and family members enjoyed the annual PQ BBQ at Queens Park on September 19th. The day was filled with team bonding, delicious food, and amazing staff prizes! We appreciate our Team! 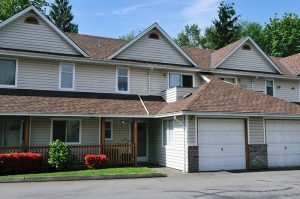 We are pleased to welcome the owners and council members of Suter Brook in Port Moody! Pacific Quorum commenced the management of this property on September 1, 2015. Welcome Windgate by the Park Owners and Strata council! 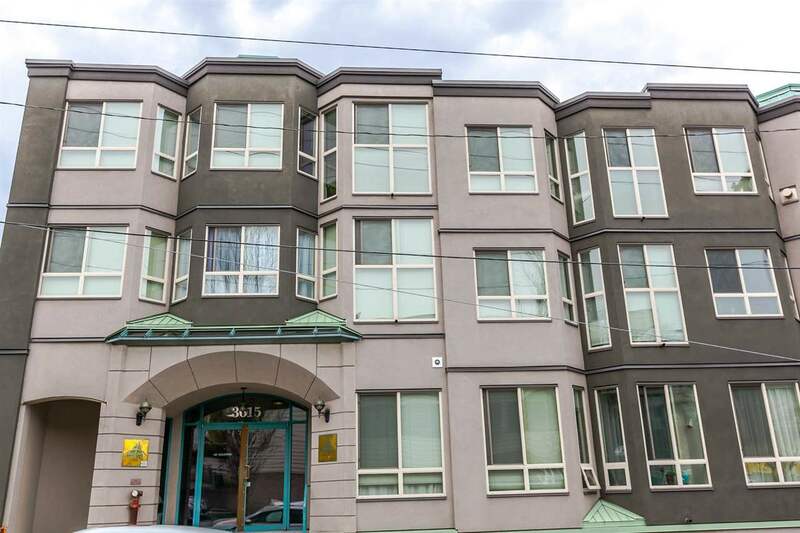 We are pleased to manage this 44 unit property in Vancouver, commencing August 1, 2015. Pacific Quorum has started managing Union (56 unit property in Burnaby), effective July 1, 2015. We welcome the Owners at Union! We are thrilled to announce that we have been awarded the 2015 Top Choice Award as top residential management company in Vancouver! A huge thank-you to our clients for voting for us! 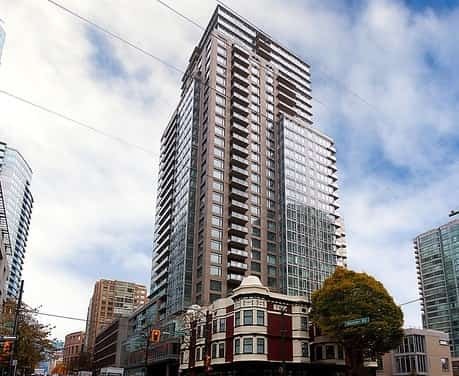 We are pleased to note that Pacific Quorum has been awarded the contract to provide property management services to Harvard Place (Vancouver) and The King Edward (Vancouver), commencing on June 1, 2015. We look forward to working with these Owners and Council members! 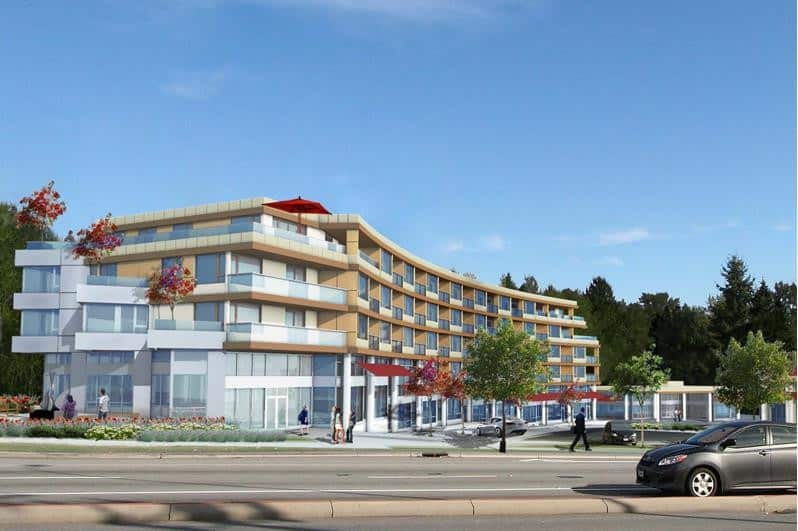 We are pleased to note that Pacific Quorum has been awarded the management of Le Chateau II (Coquitlam) commencing May 1, 2015. PQ welcomes the 75 Owners at Le Chateau II! We are excited to announce that effective March 1, 2015, the name of our Whistler subsidiary office, Summit Strata Management Ltd., has been changed to Pacific Quorum (Sea to Sky) Properties Inc! 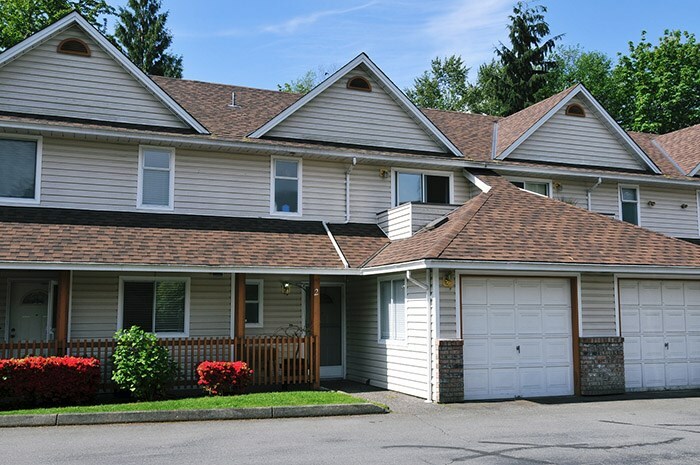 We are pleased to note that Pacific Quorum has been awarded the management of Town Villa (Vancouver) commencing March 1, 2015. PQ welcomes the 18 Owners at Town Villa! 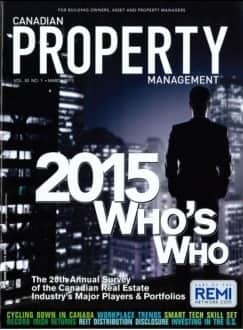 We are excited to announce that Canadian Property Management’s 2015 WHO’S WHO TOP 10 list includes Pacific Quorum! A sincere thank you to our staff and clients who contributed so generously to the Pacific Quorum Christmas Food Bank drive! We are pleased to announce that over 4750 lbs of food (2.38 tons!) was raised for the food bank! To date, over 7.1 tons of food have been collected. We look forward to continuing this charitable initiative next year! PQ is pleased to support the Food Banks of BC by initiating a food drive within the properties we manage, as well as in our 3 offices! We are pleased to be raising donations for the Vancouver Food Bank, Surrey Food Bank, and Richmond Food Bank. Thank you to our clients and our team for supporting this charitable initiative! 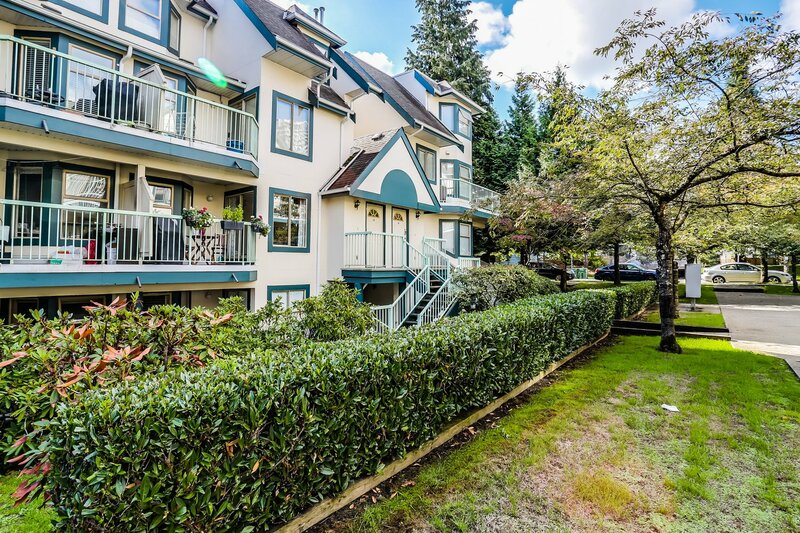 PQ has been awarded the management of three new properties, commencing December 1st: Caledonia & McNair (Port Moody), Queens Terrace (New West), and Southborough (Burnaby). We look forward to delivering exceptional value to these Owners! 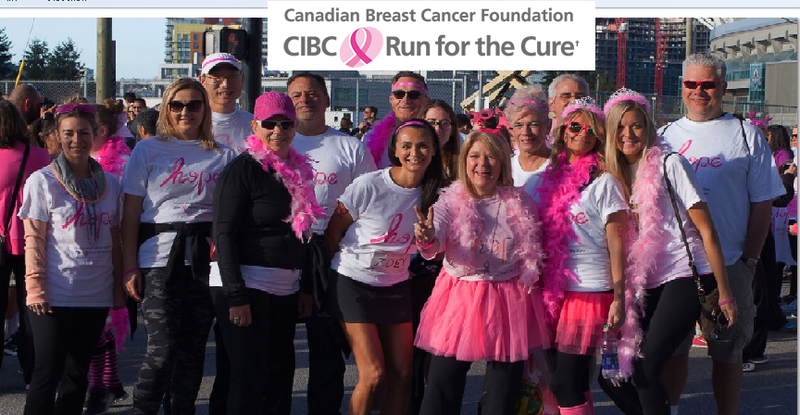 The PQ Team participated in the Canadian Breast Cancer Foundation CIBC Run for the Cure! The PQ Team raised over $2,400 for breast cancer research, health education, and advocacy initiatives throughout Canada. We are pleased to note that Pacific Quorum has been awarded the management of Sundial at the Park (Vancouver) commencing October 1, 2014. 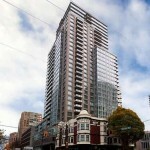 PQ welcomes the 22 Owners at Sundial at the Park! We are pleased to note that Pacific Quorum has been awarded the management of Espana (Vancouver) commencing October 1, 2014. PQ welcomes the 459 Owners at Espana! We are pleased to note that Pacific Quorum has been awarded the management of Agnes Terrace (New Westminster) commencing September 16, 2014. PQ welcomes the 47 Owners at Agnes Terrace! 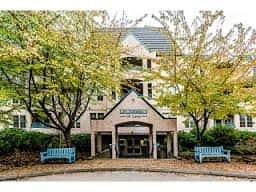 We are pleased to note that Pacific Quorum has been awarded the management of The Manor at Edgemont (North Vancouver) commencing August 1, 2014. PQ welcomes the 60 Owners at the Manor at Edgemont! We are pleased to note that Pacific Quorum has been awarded the management of Hampton Court (North Vancouver) commencing August 1, 2014. PQ welcomes the 42 Owners at Hampton Court! We are pleased to note that Pacific Quorum has been awarded the management of Fairwind (Richmond) commencing August 1, 2014. PQ welcomes the 54 Owners at Fairwind! We are excited to announce that Pacific Quorum Properties has acquired Summit Strata Management Ltd., expanding our delivery of property management services to now include Whistler, Squamish and Pemberton! Summit’s management team of Barry Burko and Karen McKibbin will continue to play an active role in the successful management of the Whistler office and its clients, now supported by the depth and experience of the Pacific Quorum team, with offices in Vancouver and Surrey. growing companies in Canada list! 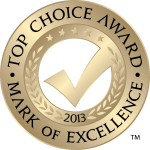 We are pleased to note that Pacific Quorum has been awarded the 2014 Top Choice Award, as the top residential management company in Vancouver! We are pleased to note that Pacific Quorum has been awarded the management of Wildwood Glen (Surrey) commencing March 1, 2014. PQ welcomes the 38 Owners at Wildwood Glen! We are pleased to note that Pacific Quorum has been awarded the management of Seymour Estates (North Vancouver) commencing February 1, 2014. PQ welcomes the 114 Owners at Seymour Estates! THANK YOU! 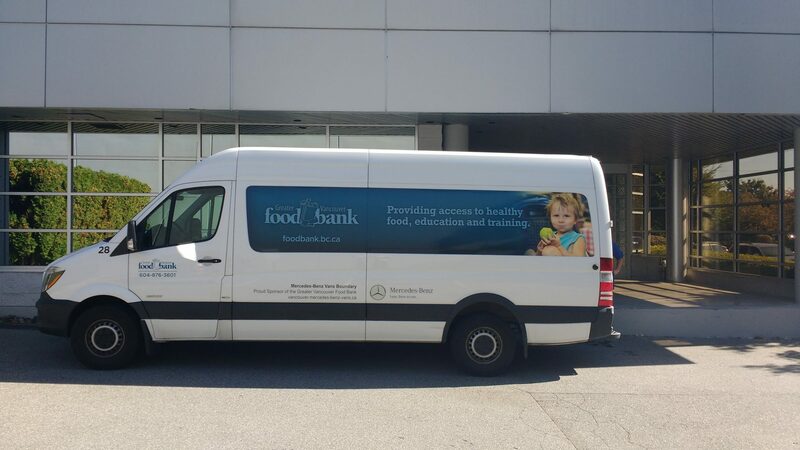 With the generous support of our clients and staff members, we raised 2.75 TONS OF FOOD (5500 Lbs) for the Food Bank!! Thank you to everyone who supported this charitable initiative!! We are pleased to note that Pacific Quorum has been awarded the management of Nelson on the Park (Burnaby) commencing January 1, 2014. 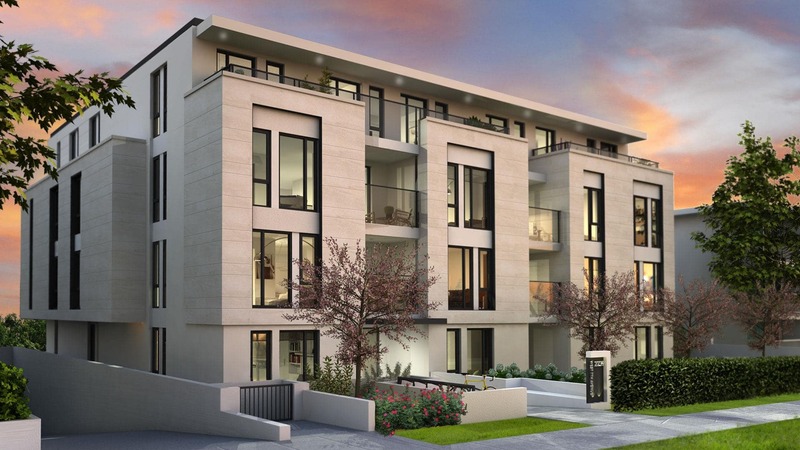 PQ welcomes the 27 Owners at Nelson on the Park! 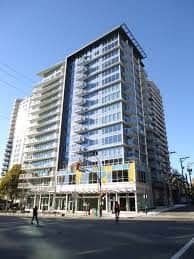 We are pleased to note that Pacific Quorum has been awarded the management of Dartmoor Place (Vancouver) commencing January 1, 2014. PQ welcomes the 34 Owners at Dartmoor Place! 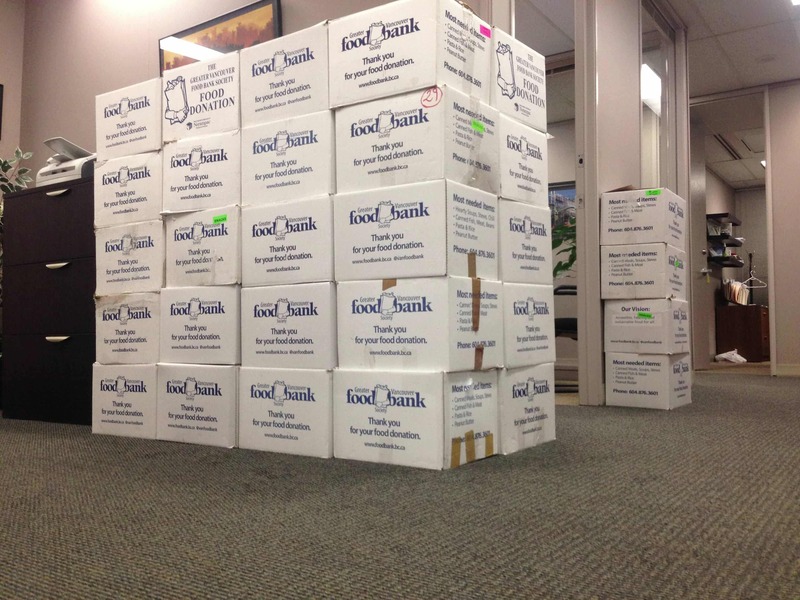 We are pleased to announce that the Pacific Quorum Food Bank Drive had raised 100 boxes of food to date! Thank you to all of our clients and staff for donating to this charitable cause! We are pleased to note that Pacific Quorum has been awarded the management of The Beasley (Vancouver) commencing December 18, 2013. PQ welcomes the 221 Owners at the Beasley! Pacific Quorum is supporting the Food Bank by initiating a Food Drive within our offices and in the buildings we manage! Thank you for donating so generously to the PQ Christmas Food Bank drive! 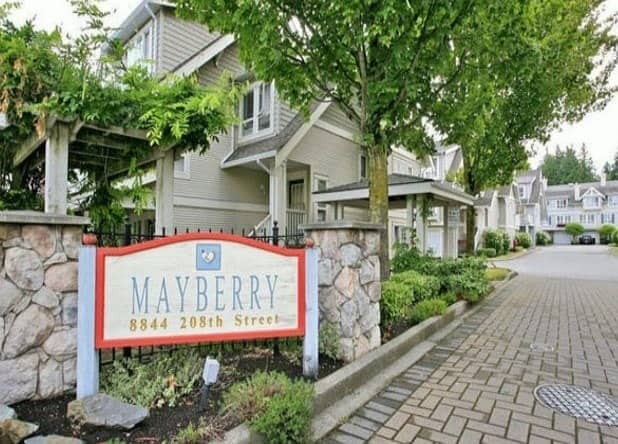 We are pleased to note that Pacific Quorum has been awarded the management of Mayberry (Langley), commencing December 1, 2013. 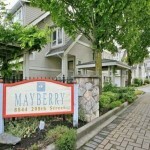 PQ welcomes the 91 Owners at Mayberry! We are pleased to note that Pacific Quorum has been awarded the management of St. Andrews (Surrey), commencing November 1, 2013. PQ welcomes the 219 Owners at St. Andrews! We are pleased to note that Pacific Quorum has been awarded the management of Mayfield Green (Surrey) and Westbrooke (Maple Ridge), commencing September 1, 2013. Sharron Brown joins our team in the Surrey office. Welcome aboard Sharron! We are pleased to note that Pacific Quorum has been awarded the management of Arcadia East (Burnaby) and Mode (Vancouver)! We are pleased to note that Pacific Quorum has been awarded the management of Foundry (Vancouver), and the Arcadian (White Rock)! We are pleased to note that Pacific Quorum has been awarded the management of La Mirage (Delta) and Arcadia West (Burnaby)! We are pleased to note that Pacific Quorum has been awarded the management of Taylor (Surrey) and Augustine Gardens (Vancouver)! PQ launches an internal online resource dedicated to providing enhanced staff training, orientation, and resources. Purchase Orders, Quote Request, and Service Requests are now posted to PQ ONLINE for Council access and review. Pacific Quorum Properties was recently featured in the Winter 2012 issue of the Design Develop Construct (DDC) Journal. Click here to read the full DDC Journal article! 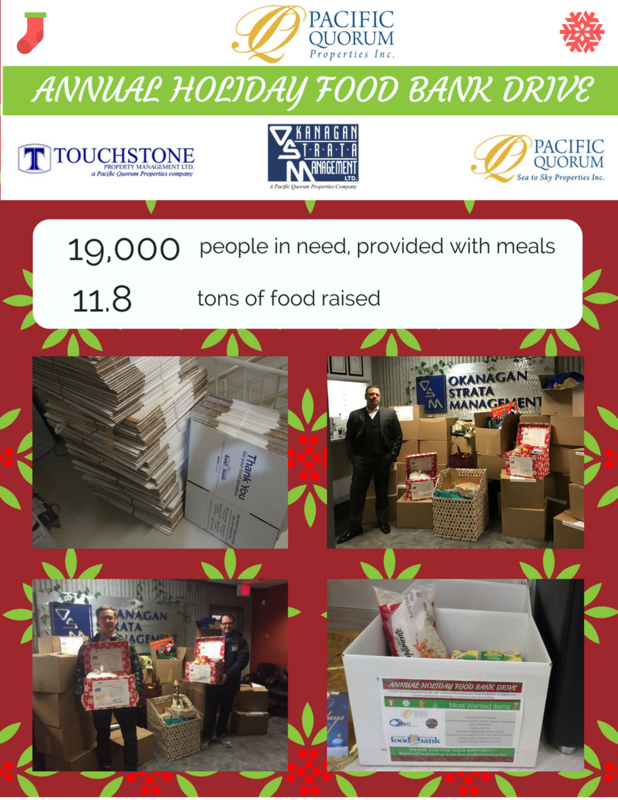 Pacific Quorum staff and clients participated in the Food Bank Drive to support local food banks, and raised 1.9 Tons of food raised for the Food Bank! A sincere thank you to all who contributed so generously to the PQ Christmas Food Bank drive. 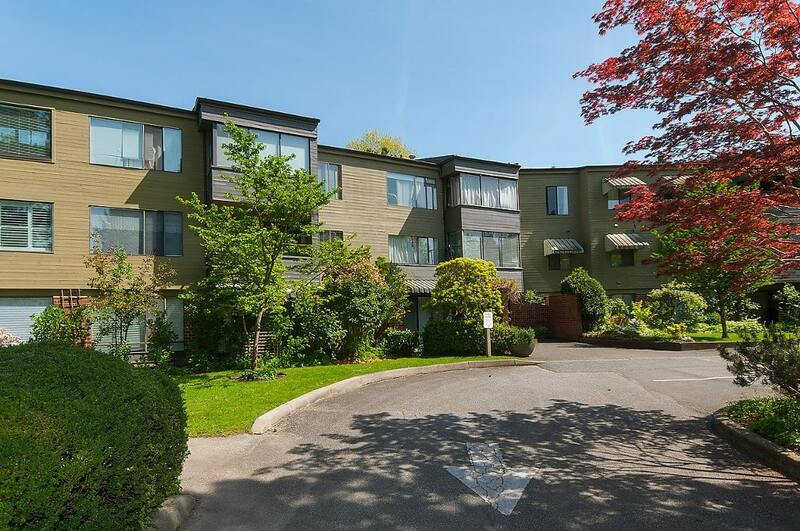 We are pleased to note that Pacific Quorum has been awarded the management of Esker Lane (West Vancouver) and Safari Apartments Ltd (Vancouver)!